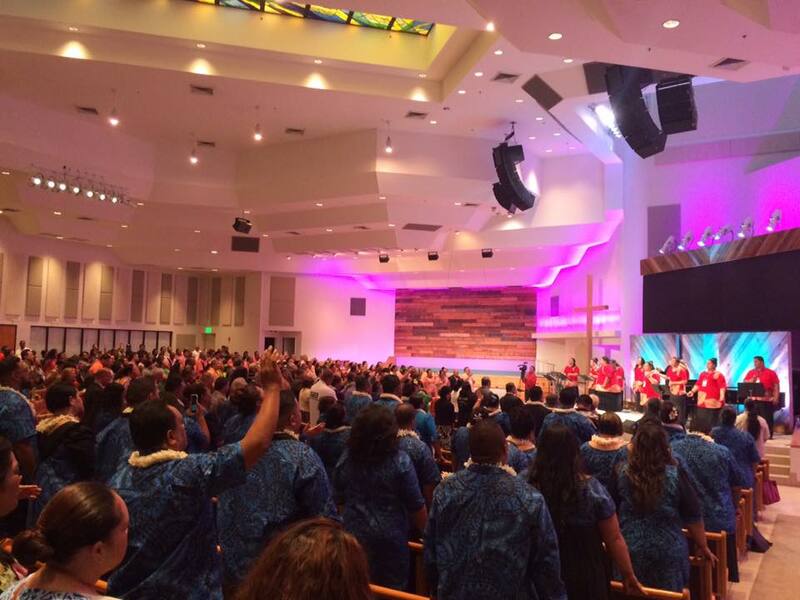 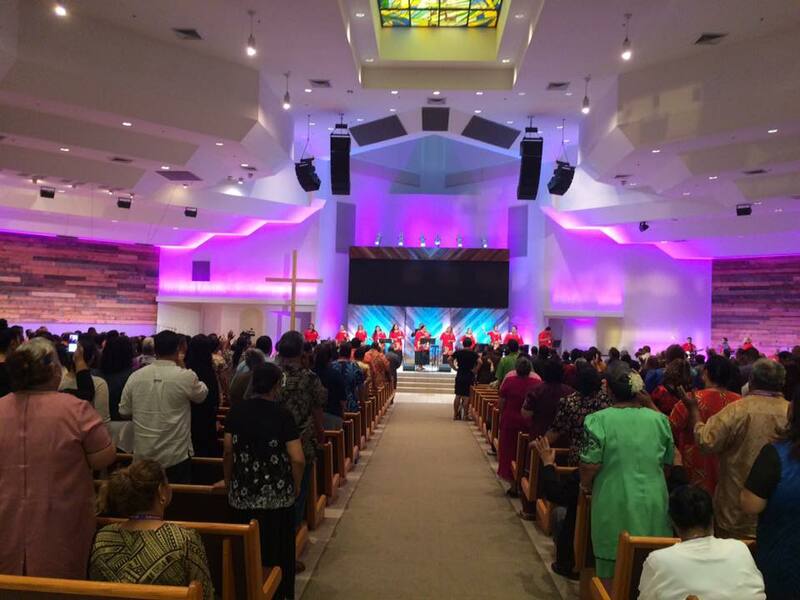 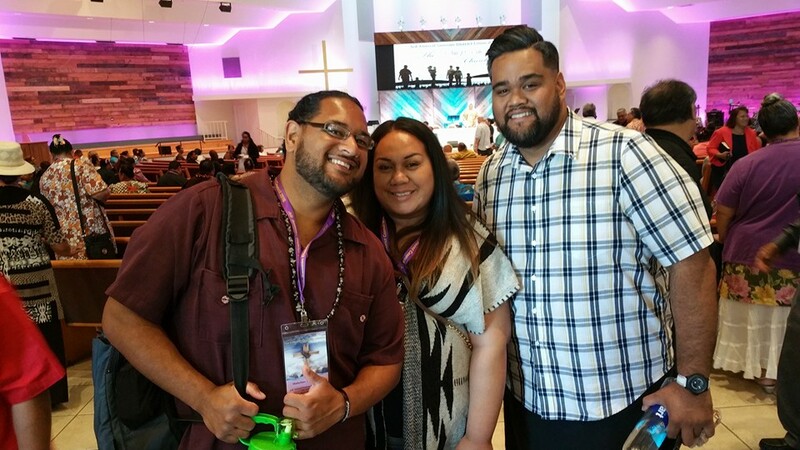 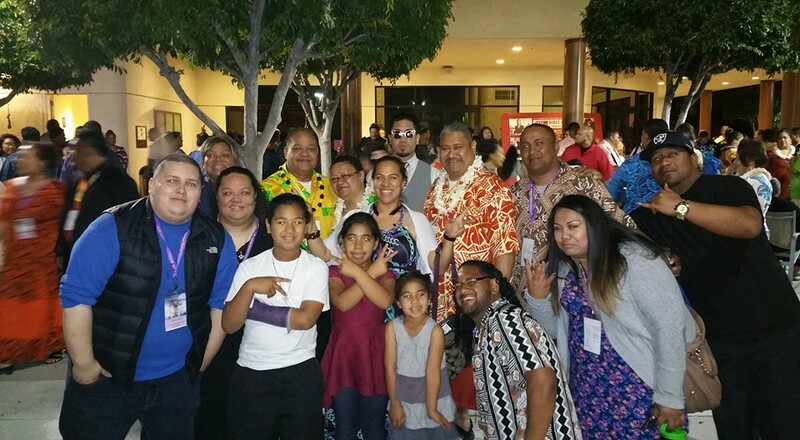 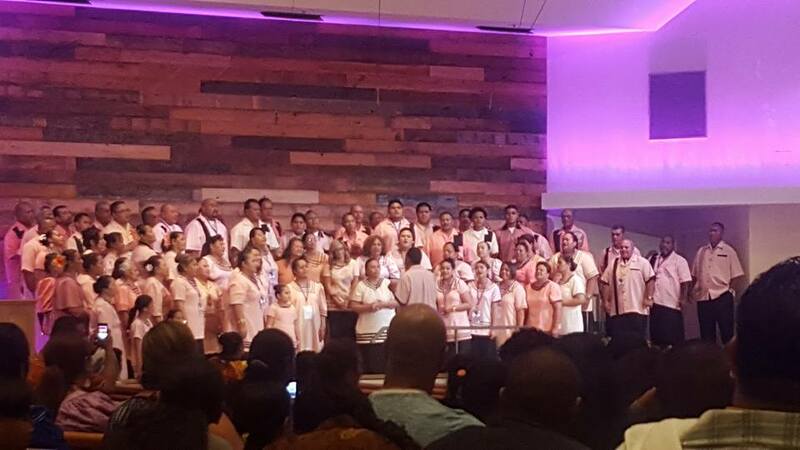 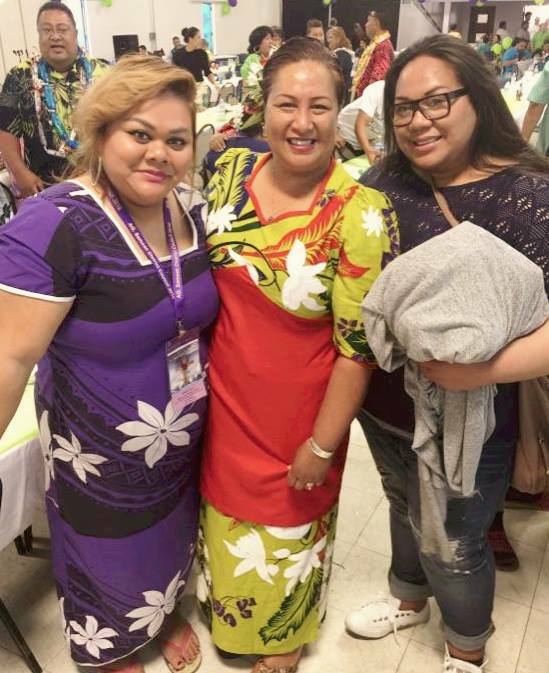 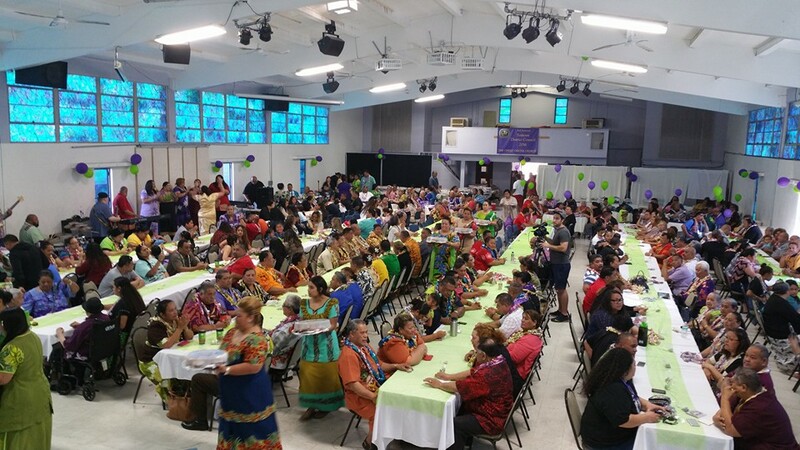 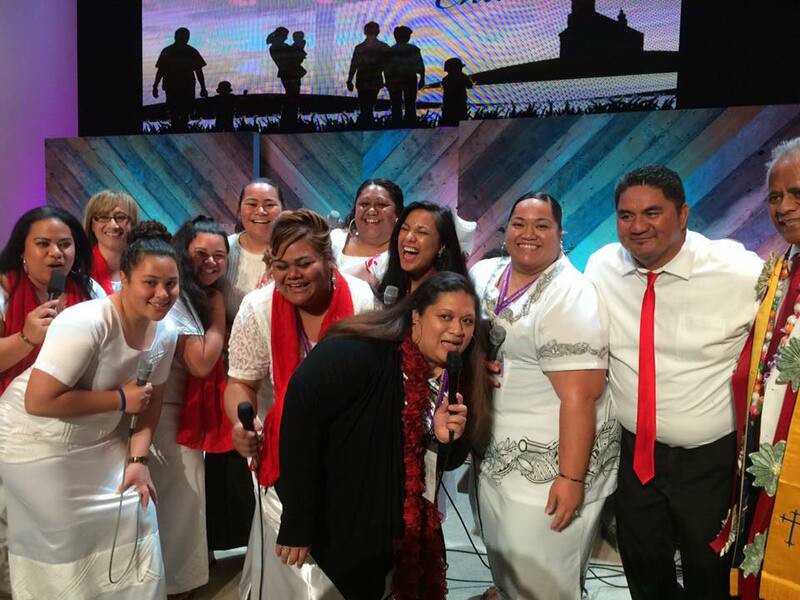 What a wonderful and awe-inspiring experience of God's power and move of the Holy Spirit in the midst of His people at the 3rd Annual Samoan District Council (SDC) hosted by our Southern California Pulega (Section). 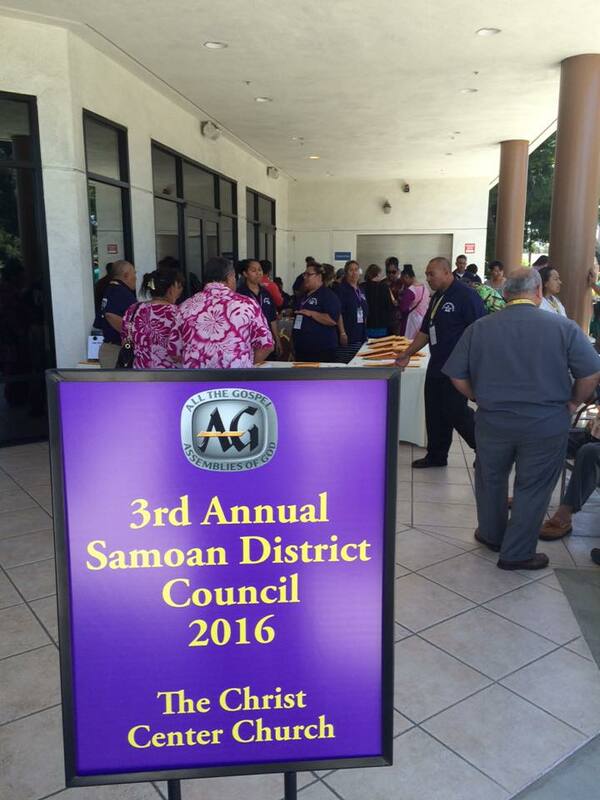 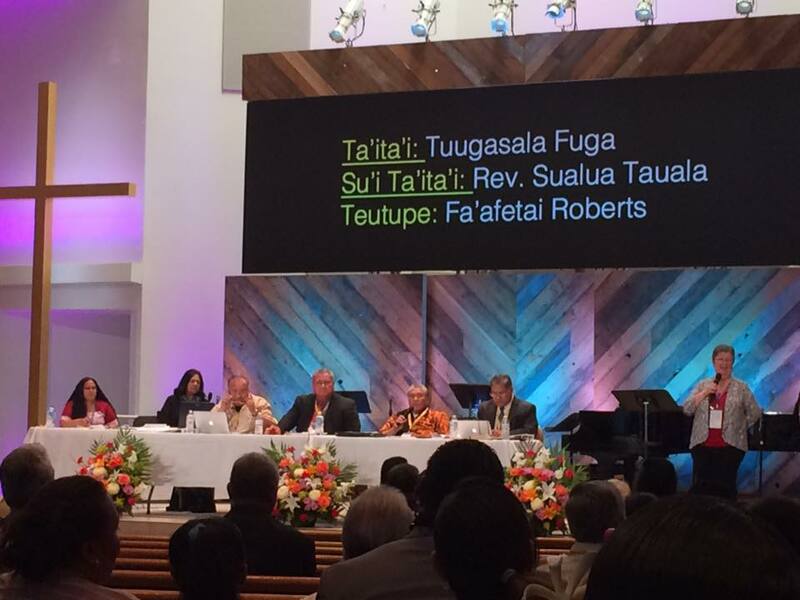 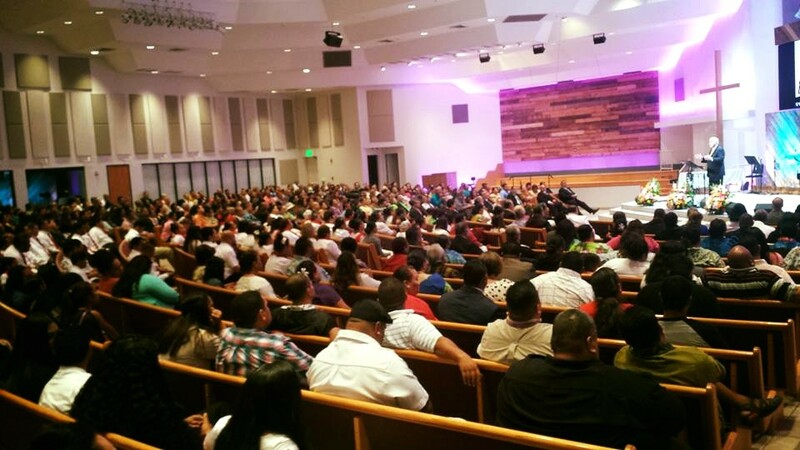 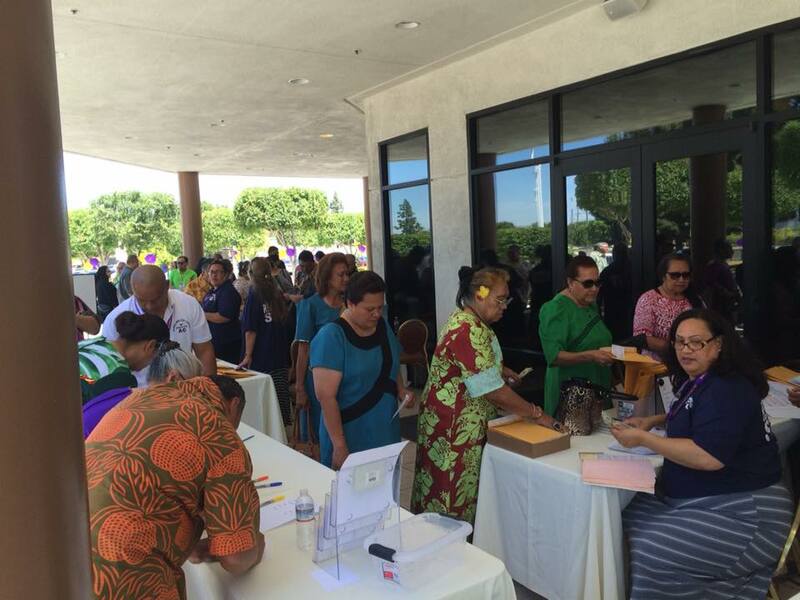 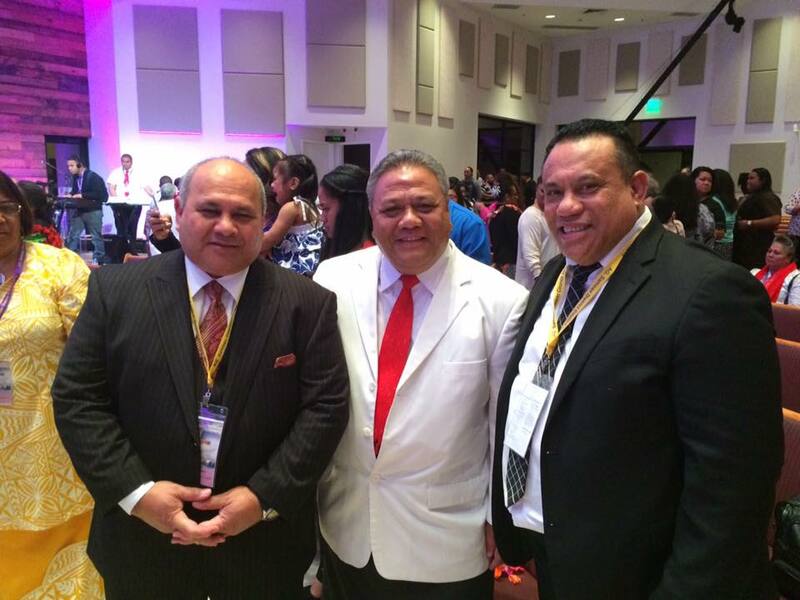 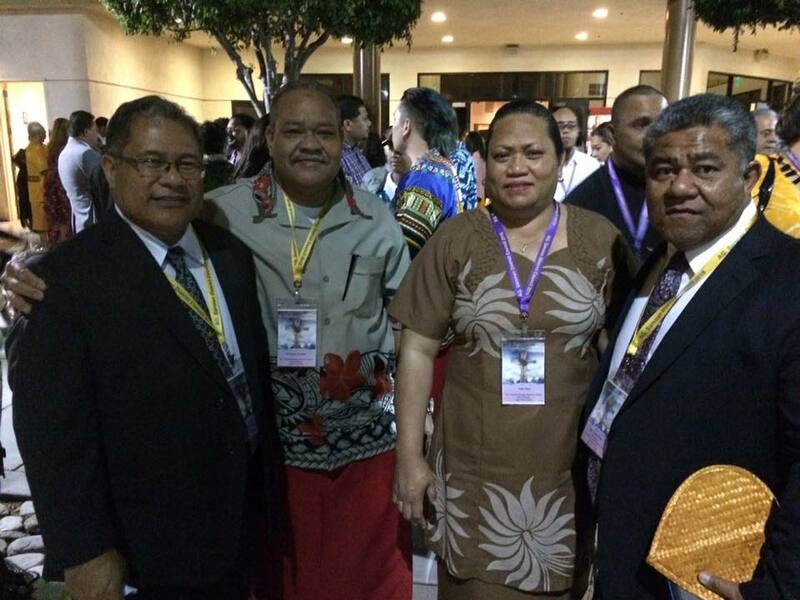 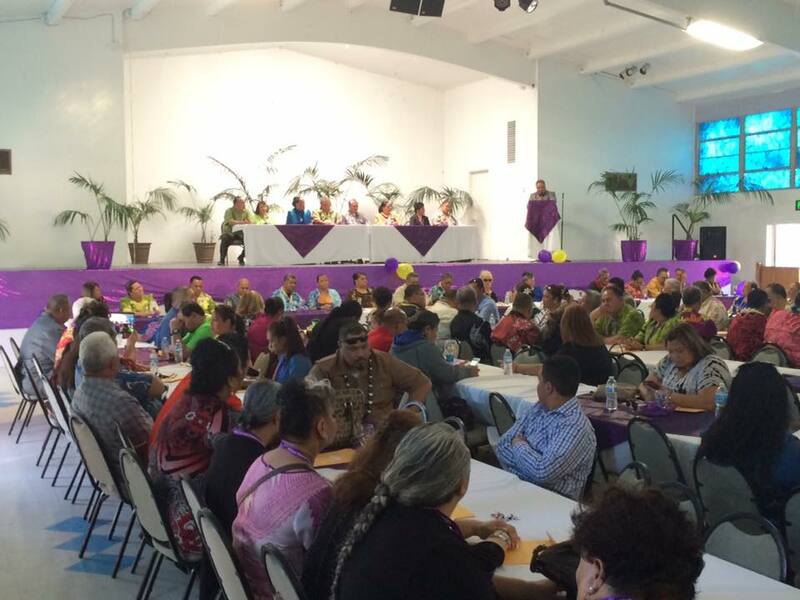 A little over a thousand participants including the entire SDC Presbytery team, pastors, delegates, and attendees from around the five sections (Alaska, Hawaii, Northwest, Northern and Southern California) were present to witness the newly formed Samoan District Council enter its 3rd year in session. 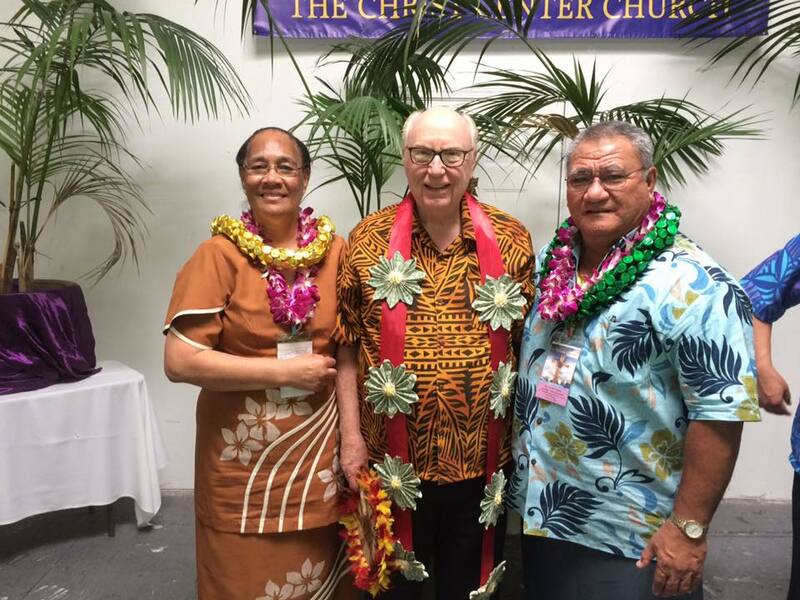 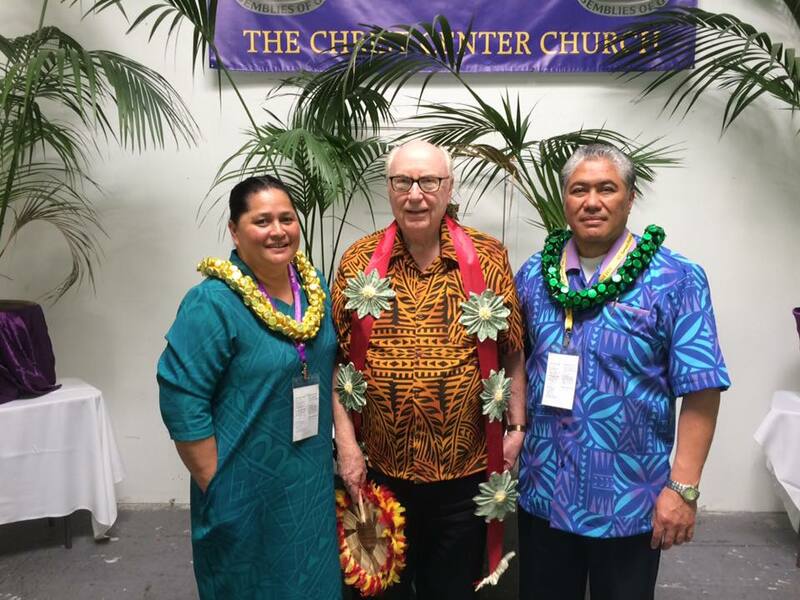 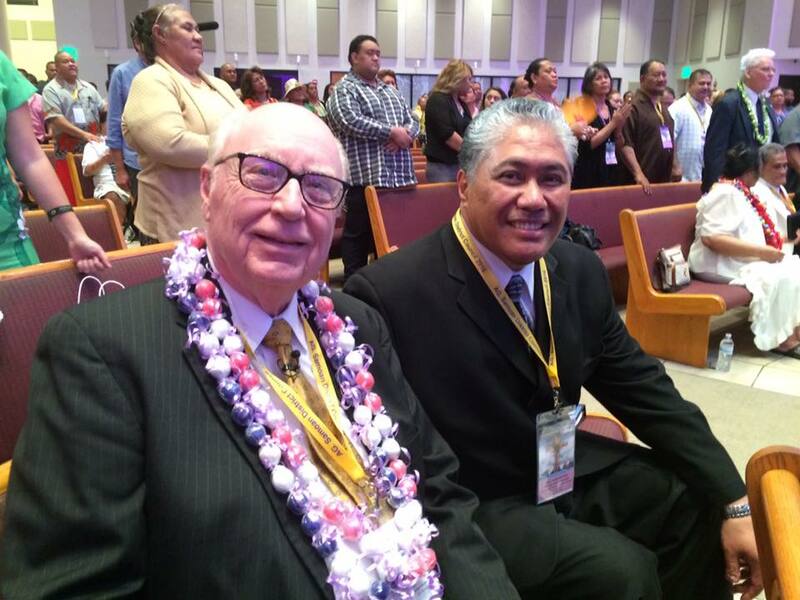 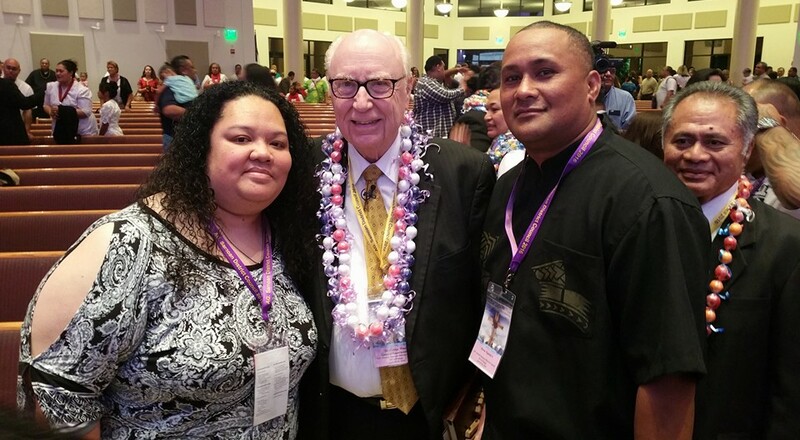 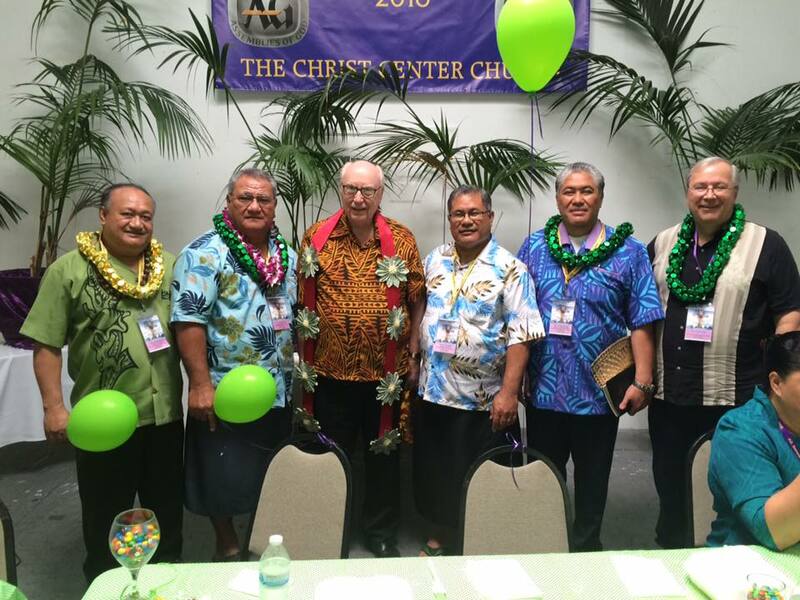 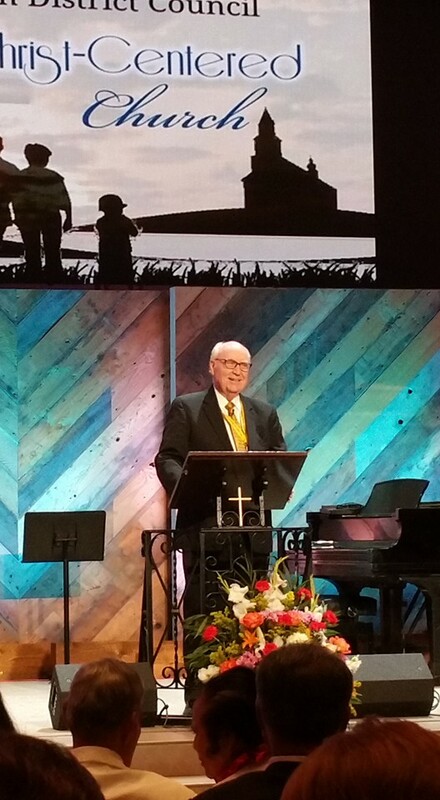 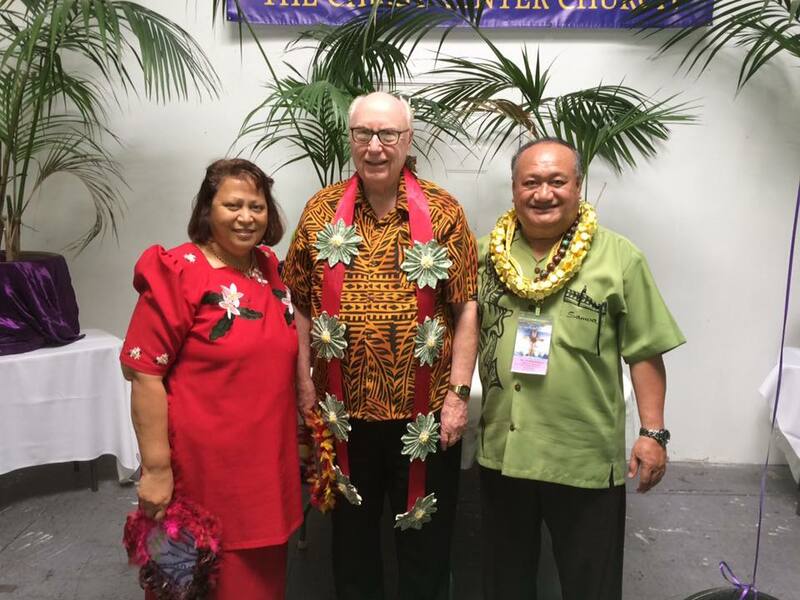 It was also a privilege and an honor to have the General Superintendent of the Assemblies of God and Chairman of the World Fellowship Assemblies of God, Dr. George Wood be part of the 3rd Annual Samoan District Council as the keynote speaker for the conference. 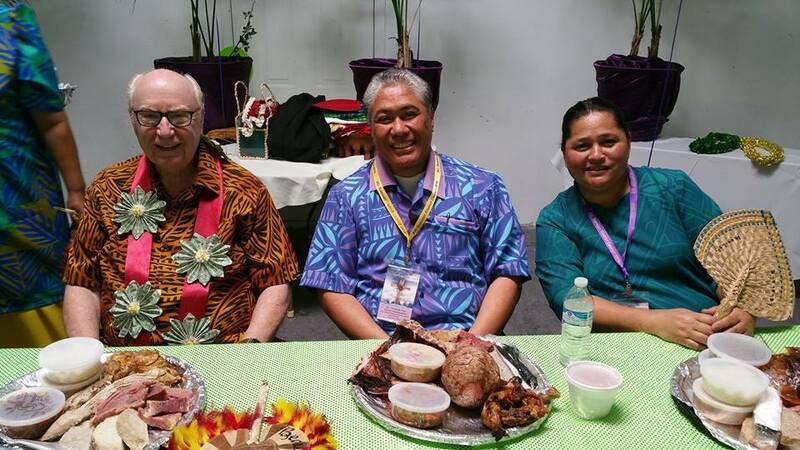 Together with the SDC General Superintendent Tuugasala Fuga, they both emphasized the significance and necessity of a church that is centered in Jesus Christ. 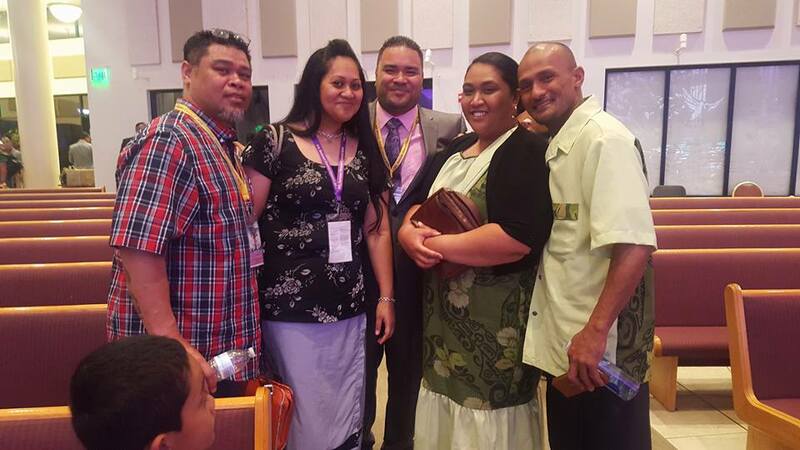 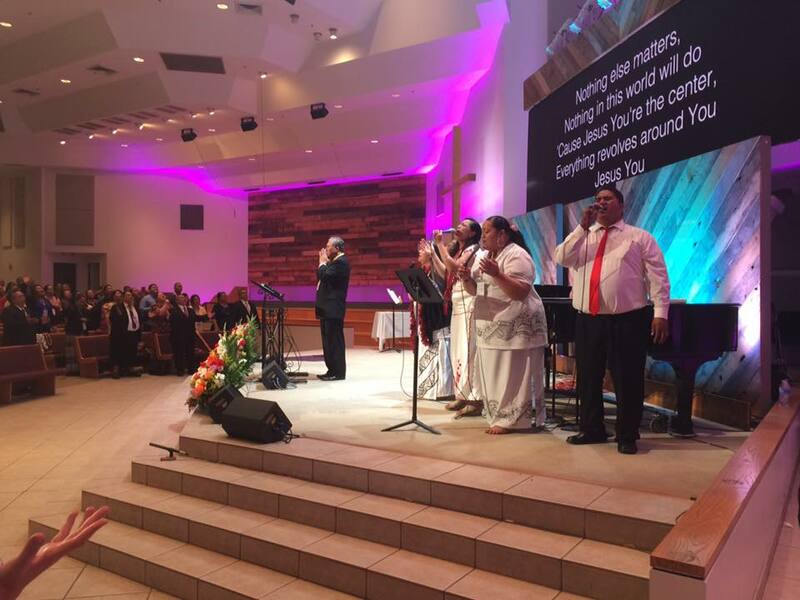 The business meetings reported a growth of 47% in church-planting with the establishment of 14 new churches within the last 3 years. 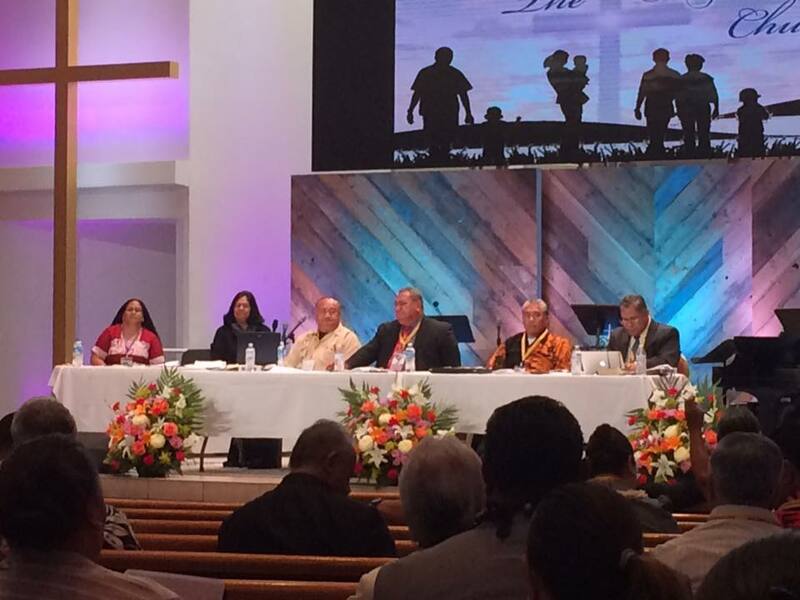 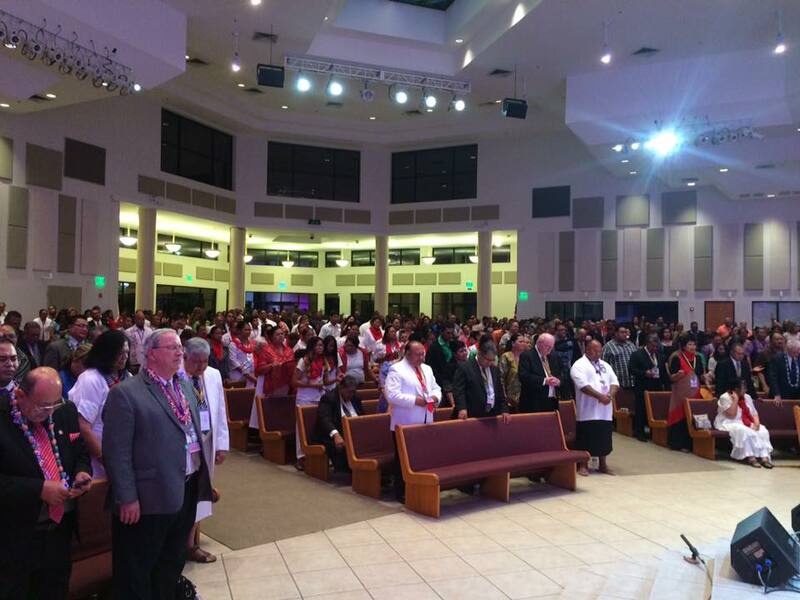 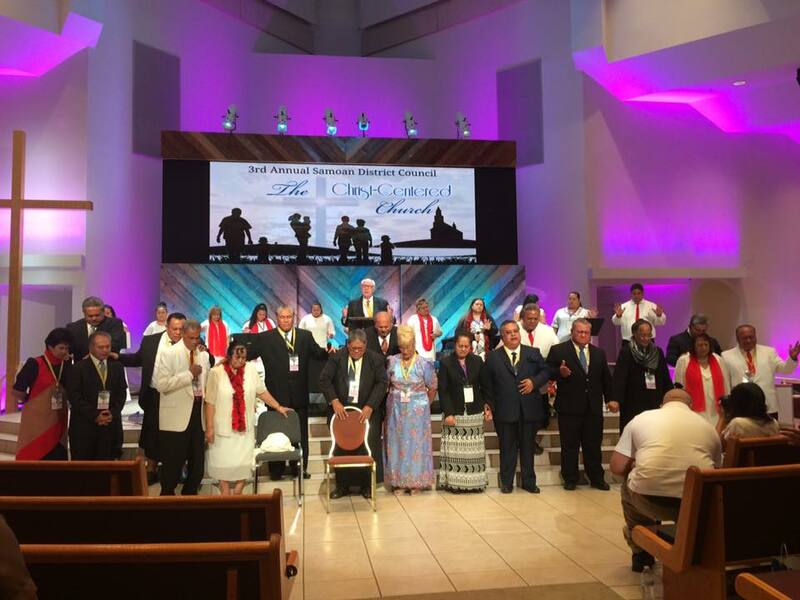 9 resolutions were presented and unanimously approved by the delegates and credentialed pastors. 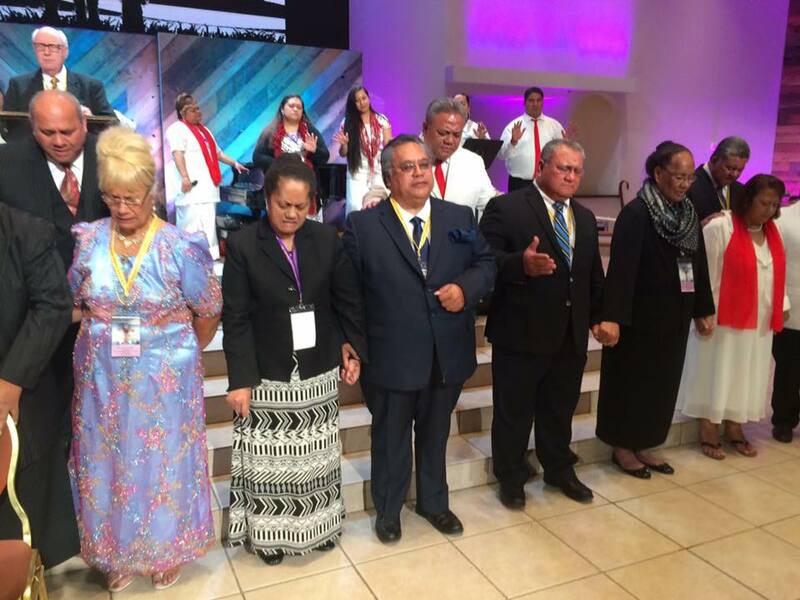 During the elections, all of the previous ministers who served as Assistant Superintendent, Treasurer, General and Executive Presbyters were re-elected. 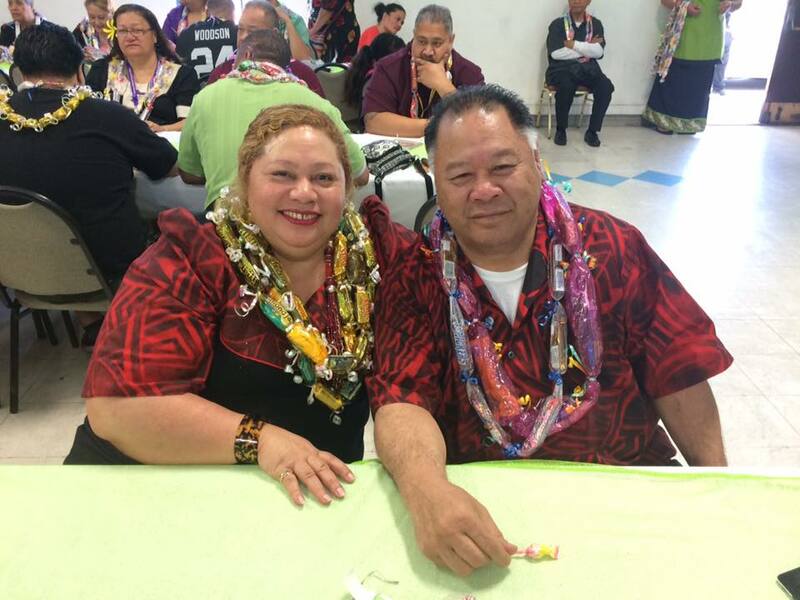 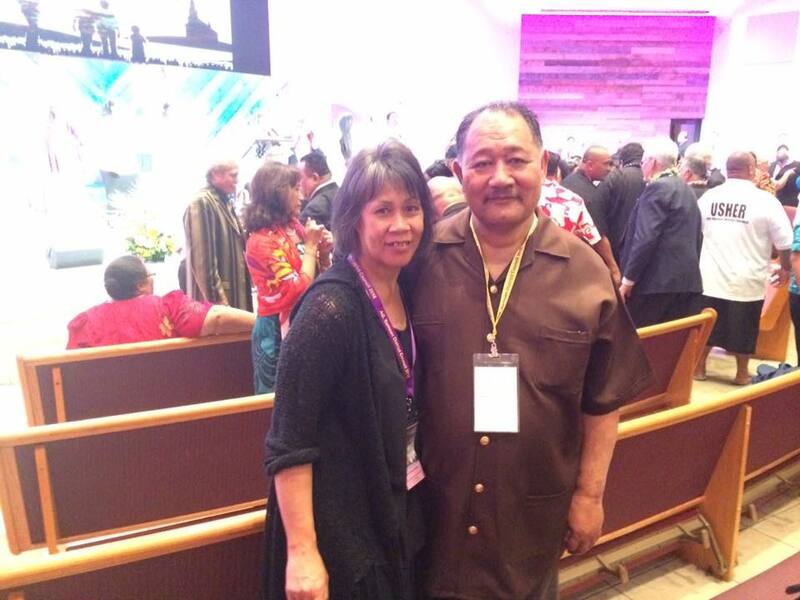 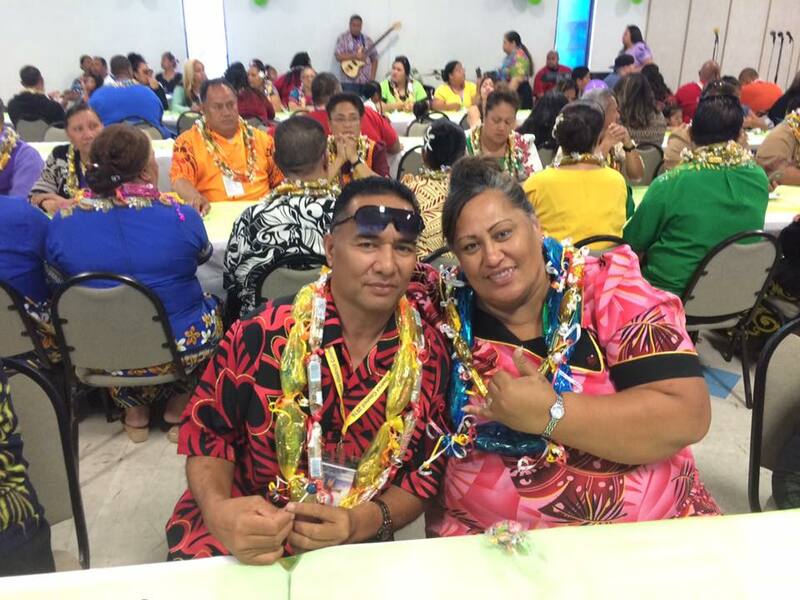 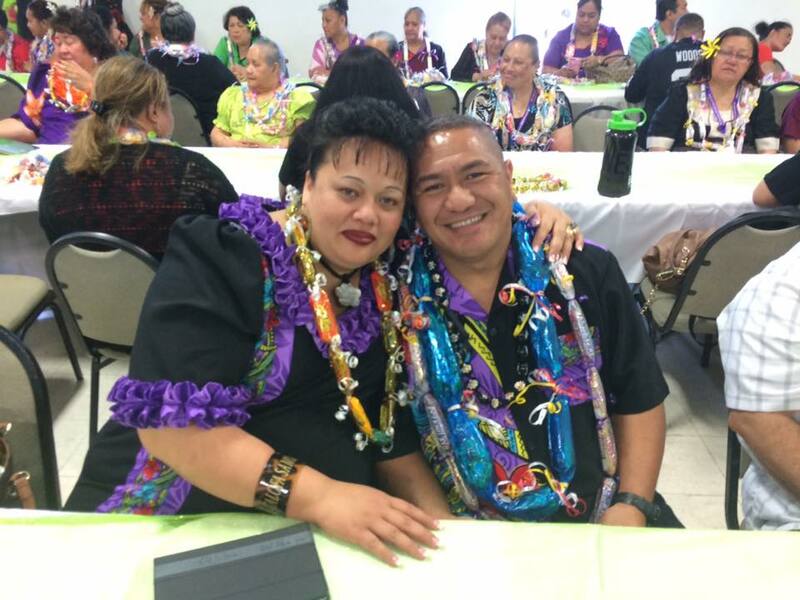 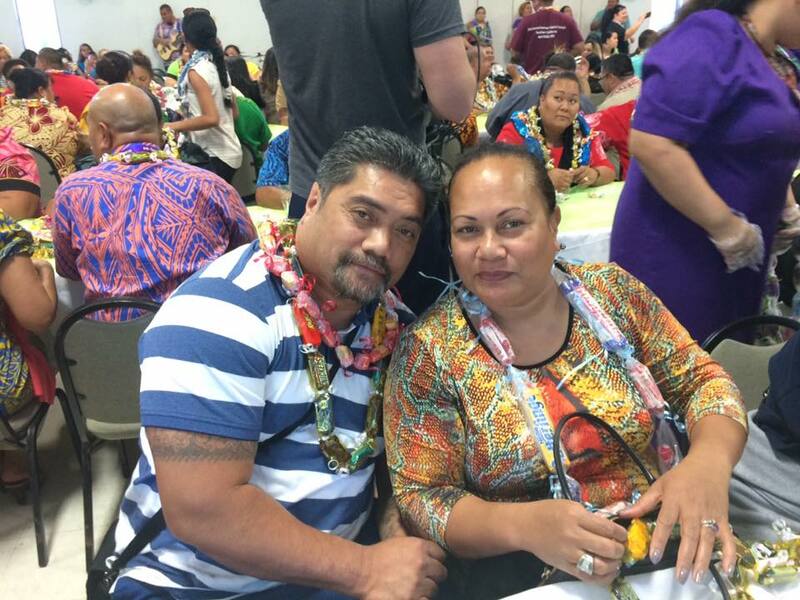 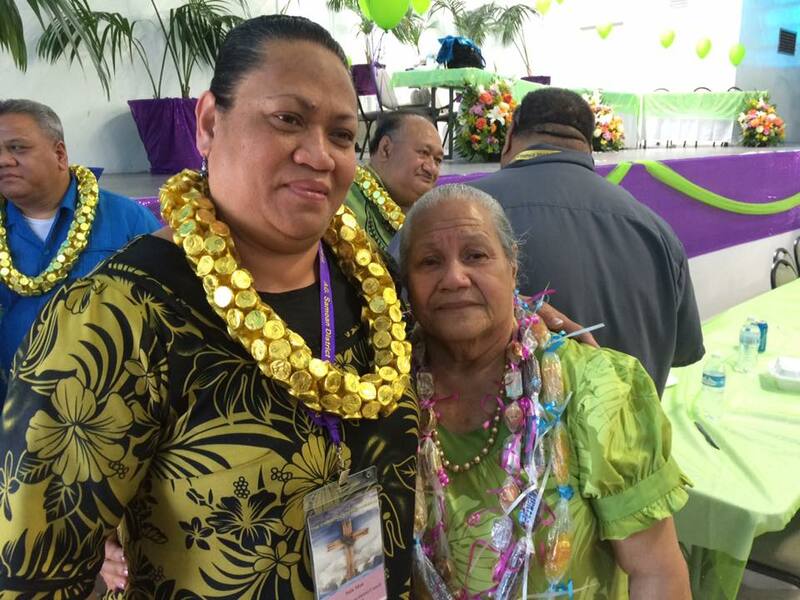 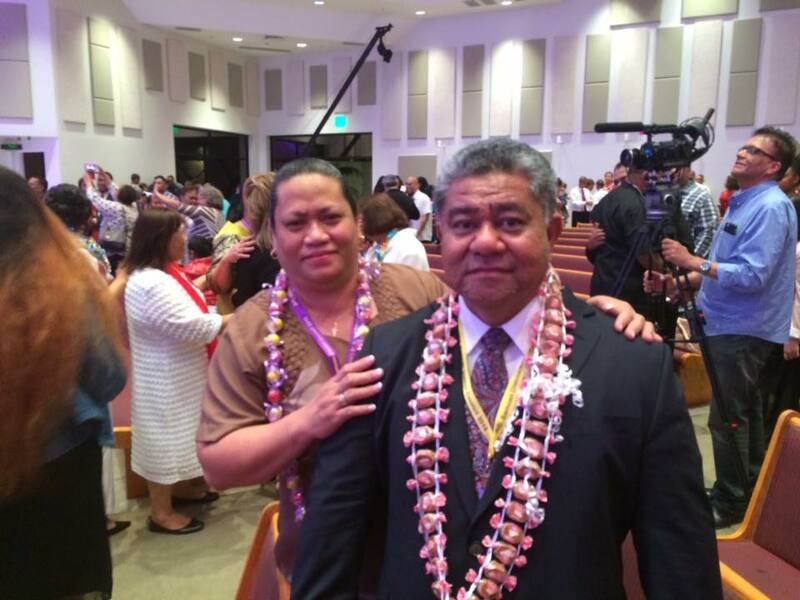 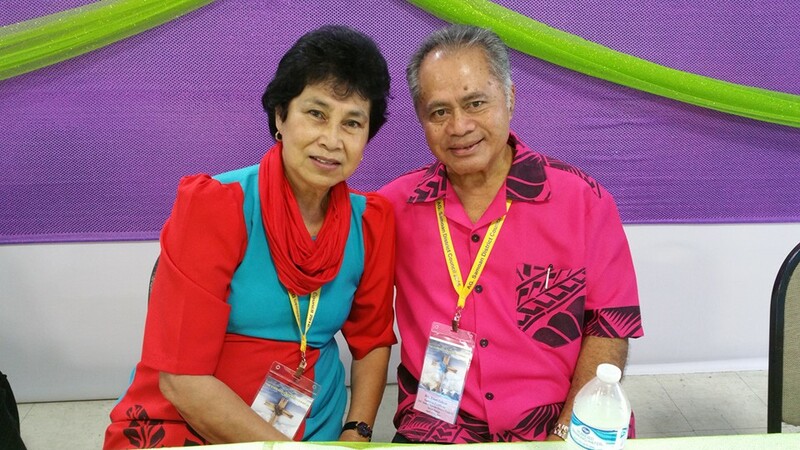 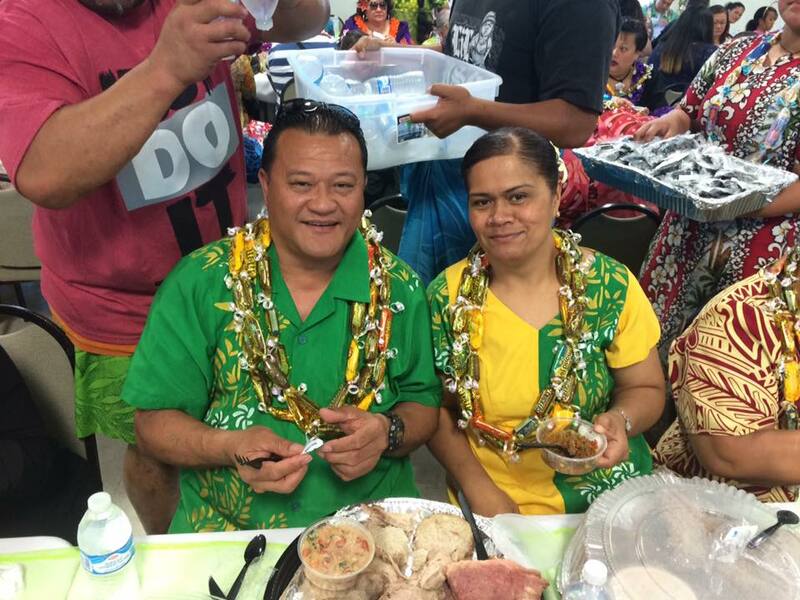 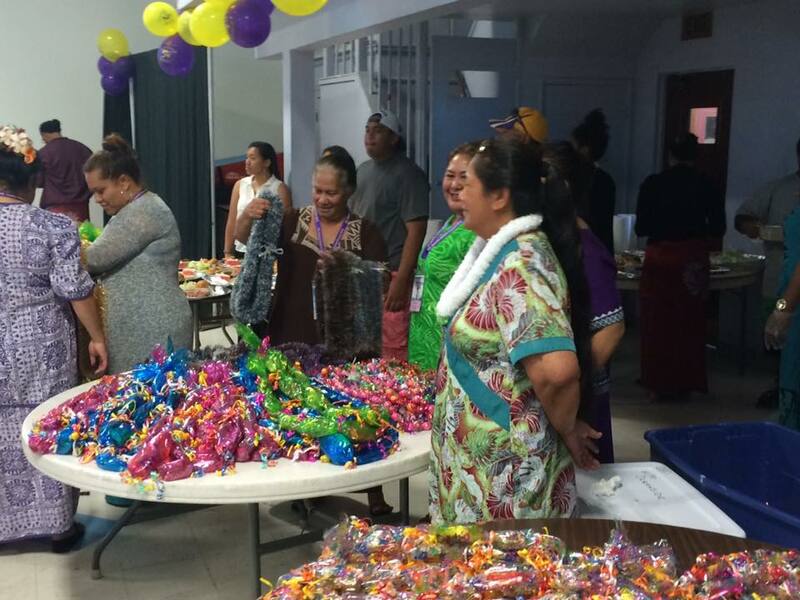 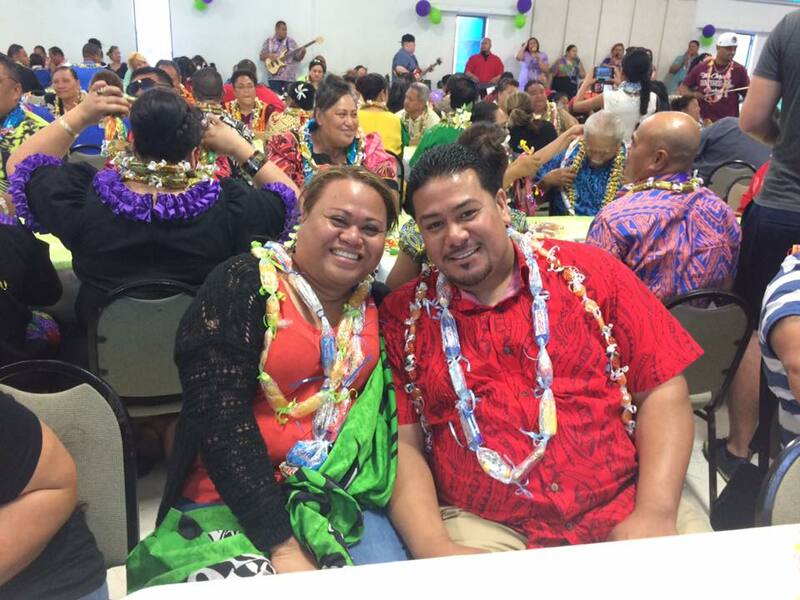 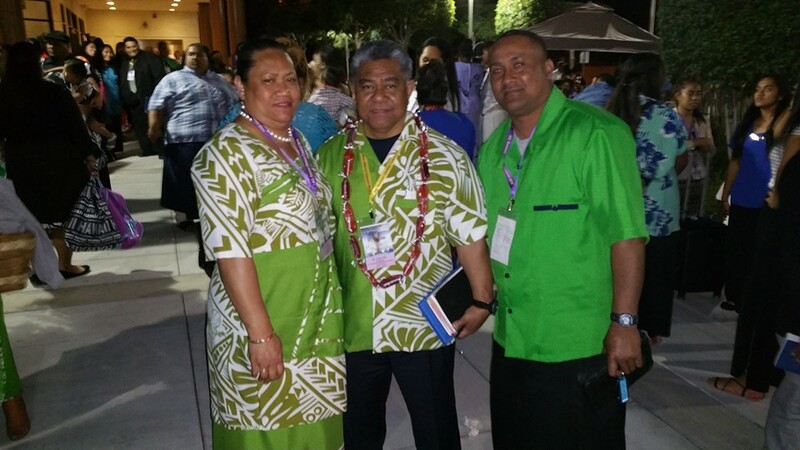 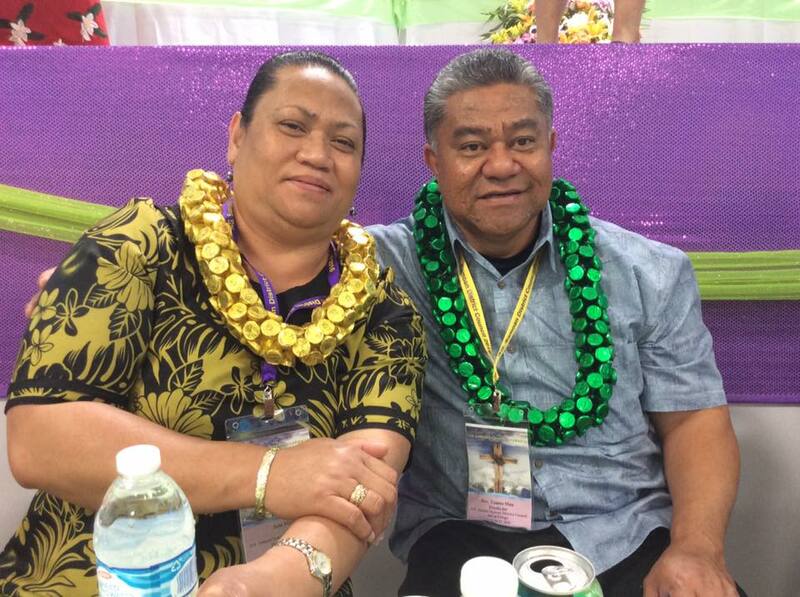 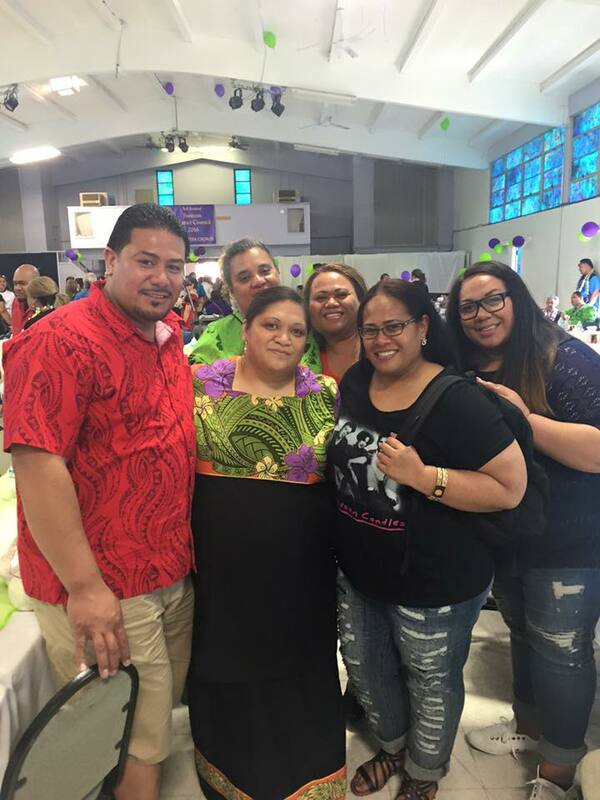 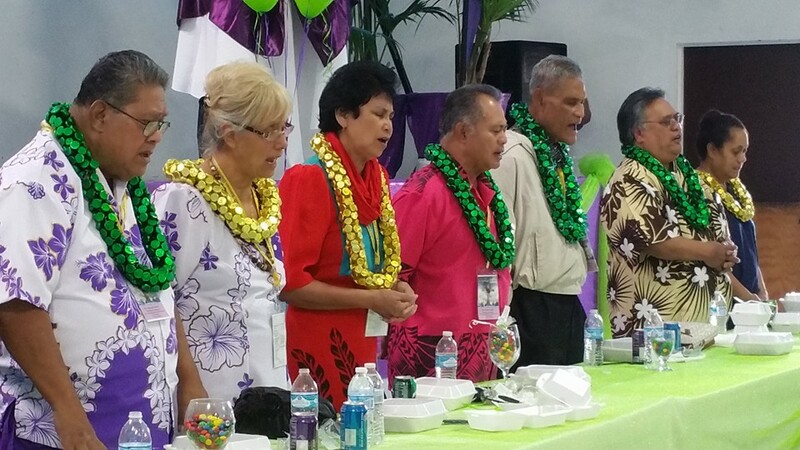 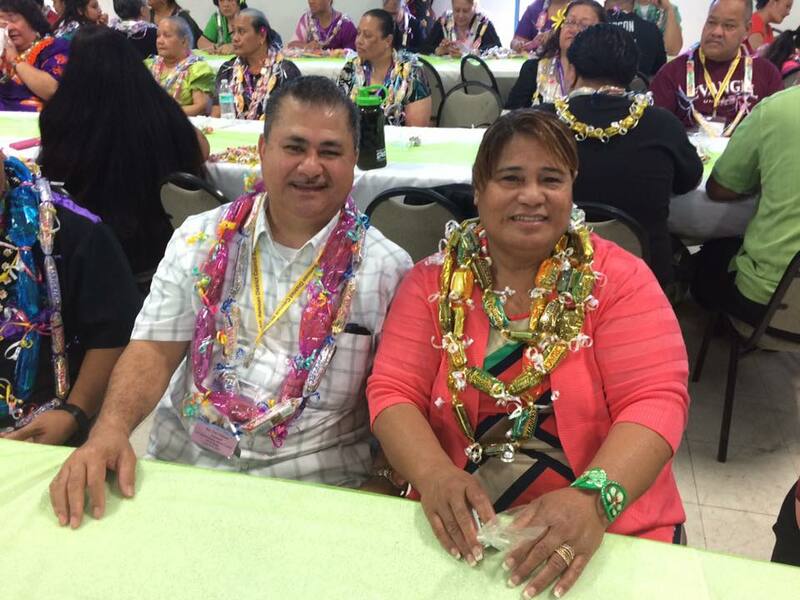 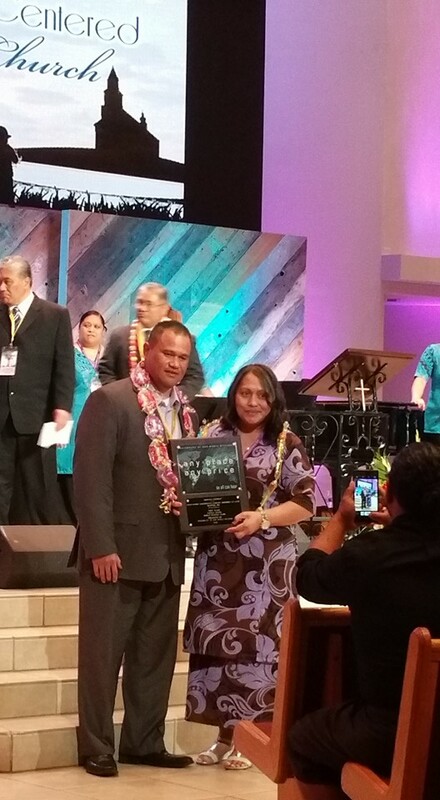 Awards were also presented in the following categories: 50 years of service to Pastor Siupapa Vaovasa and Etuati Lafaele both from the Hawaii Pulega (Section); the highest contribution to missions was awarded twice in a row to Highpoint Lighthouse Church in Seattle, Washington with Senior Pastor Natia Paaga. 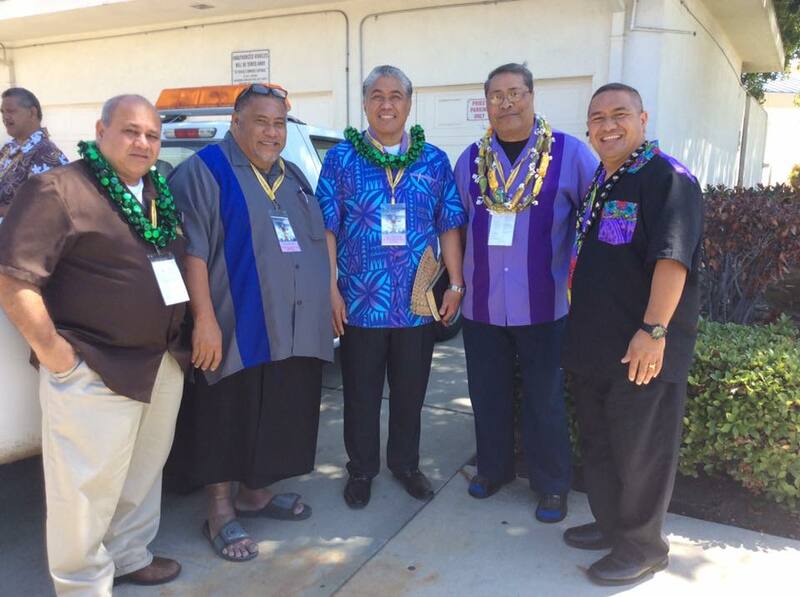 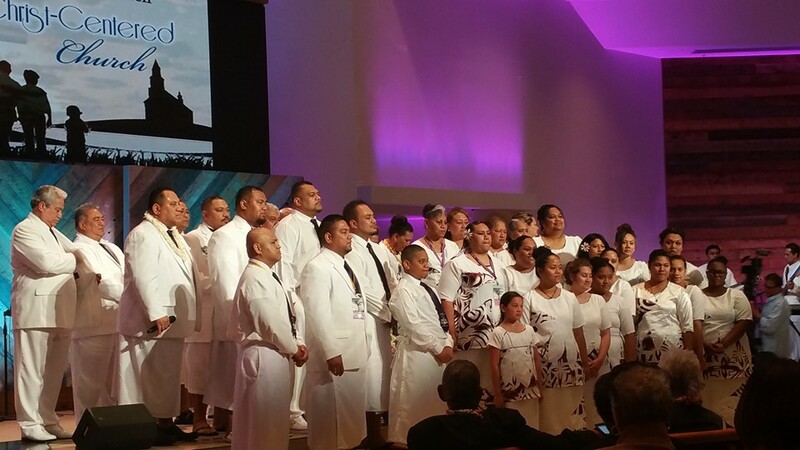 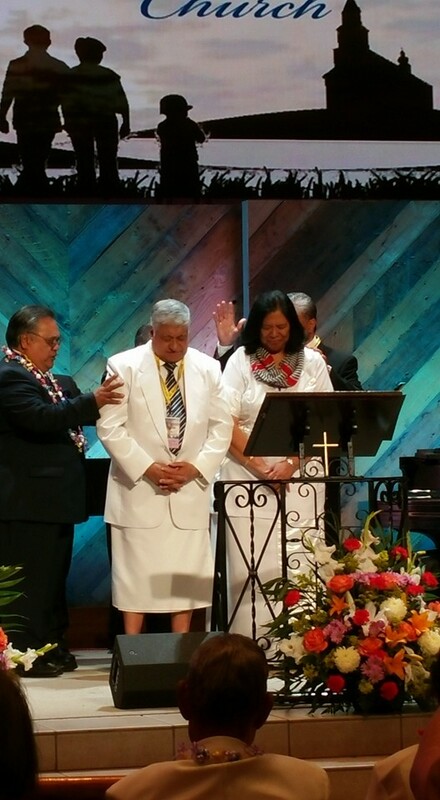 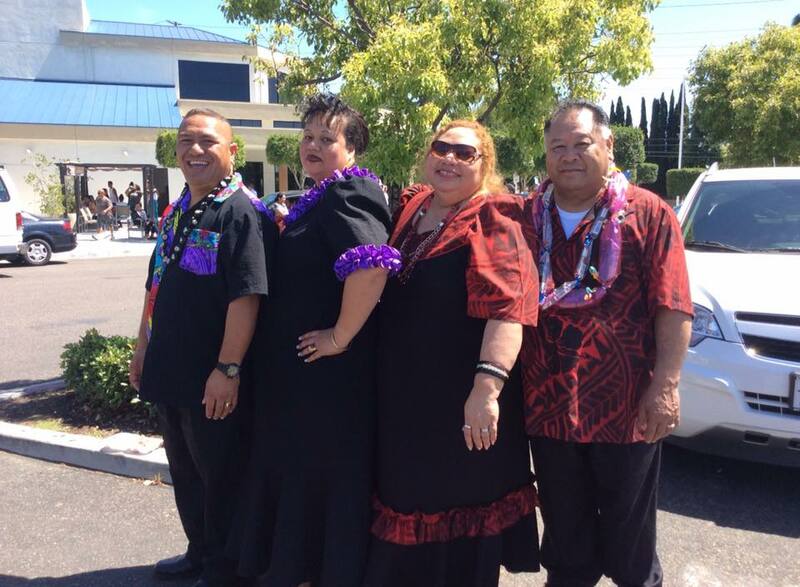 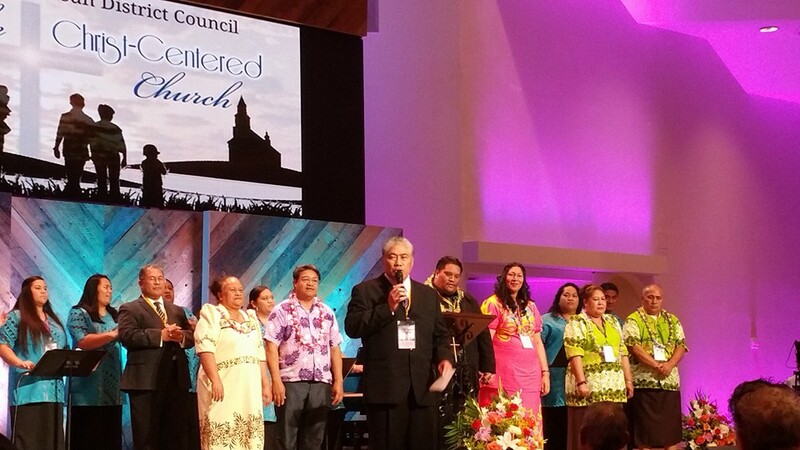 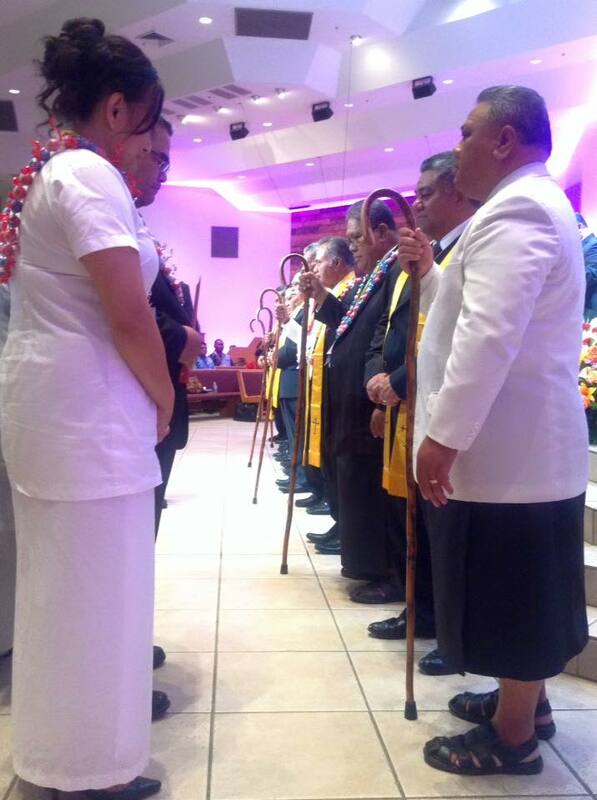 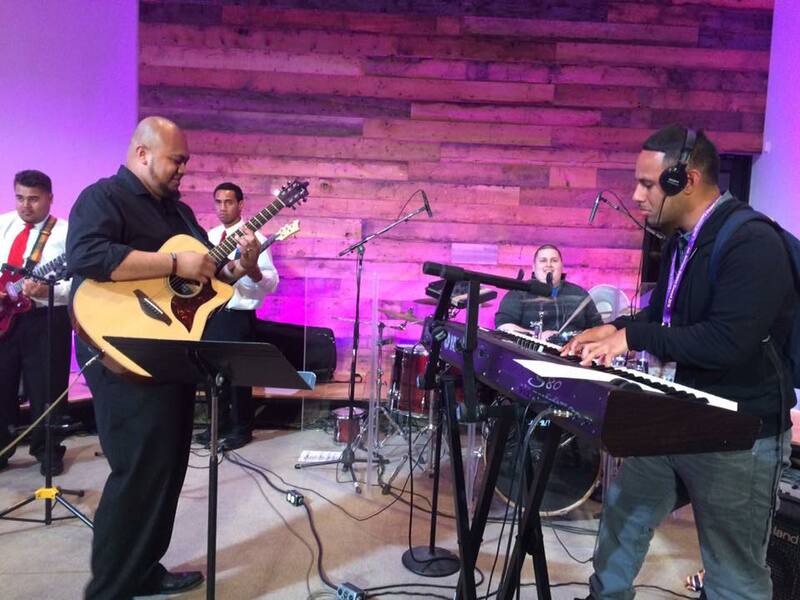 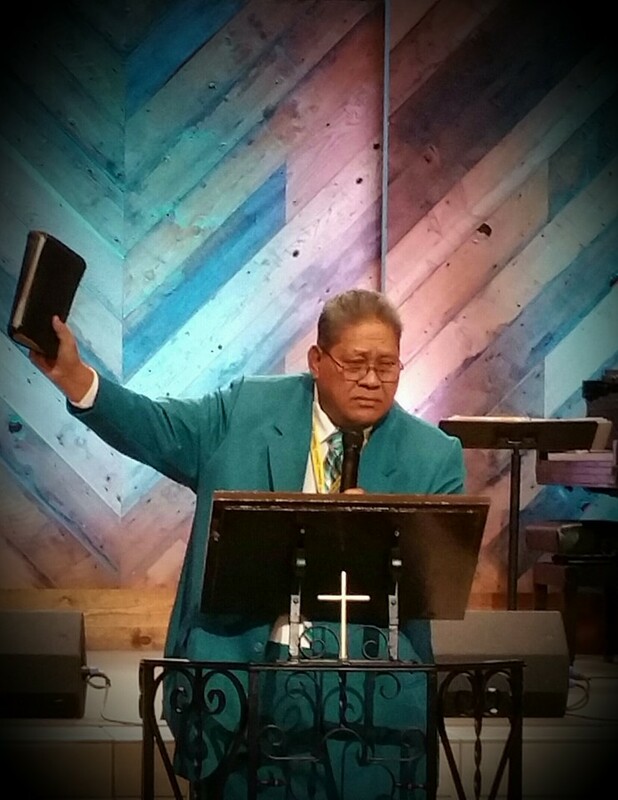 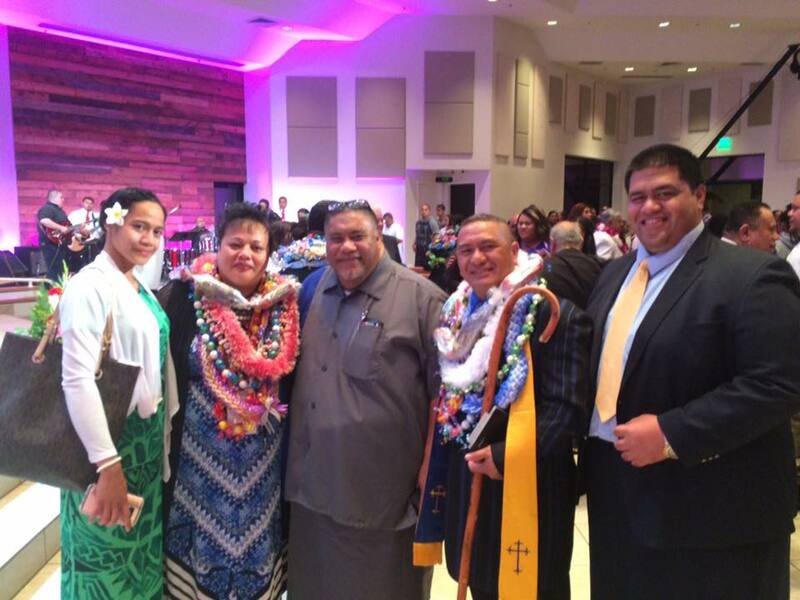 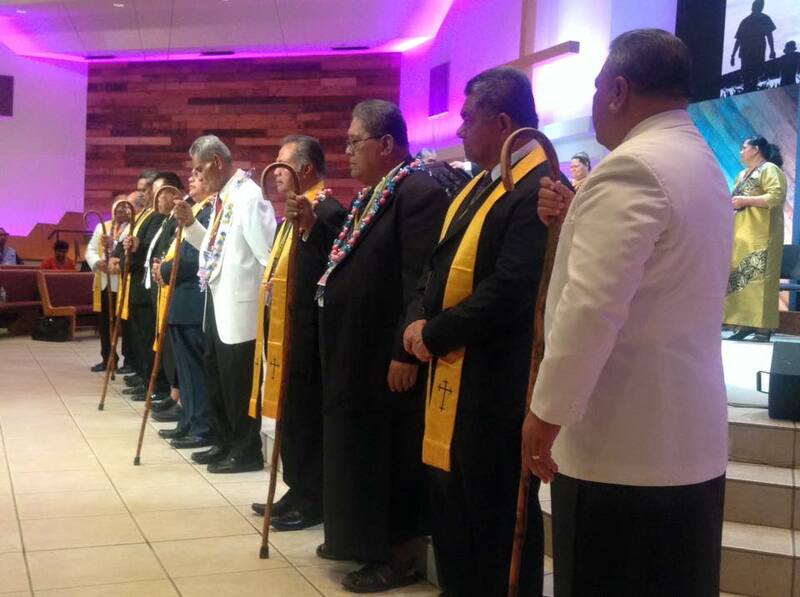 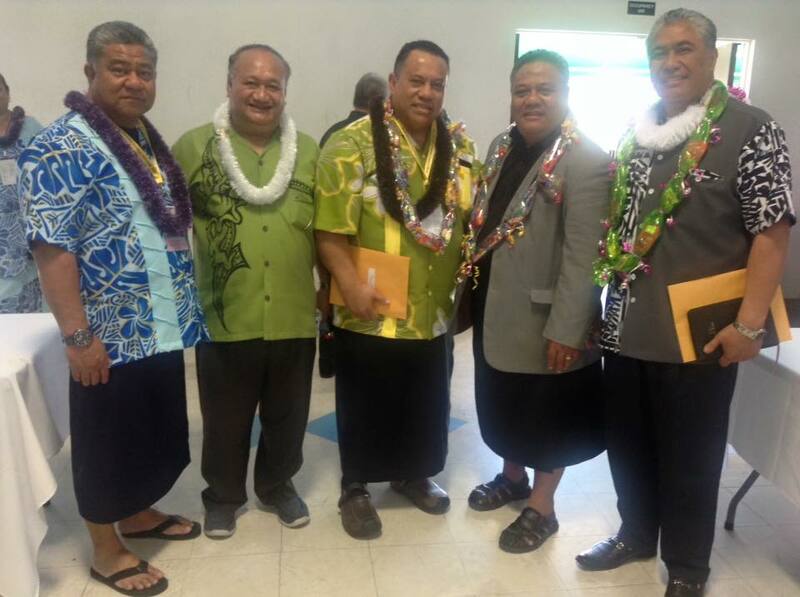 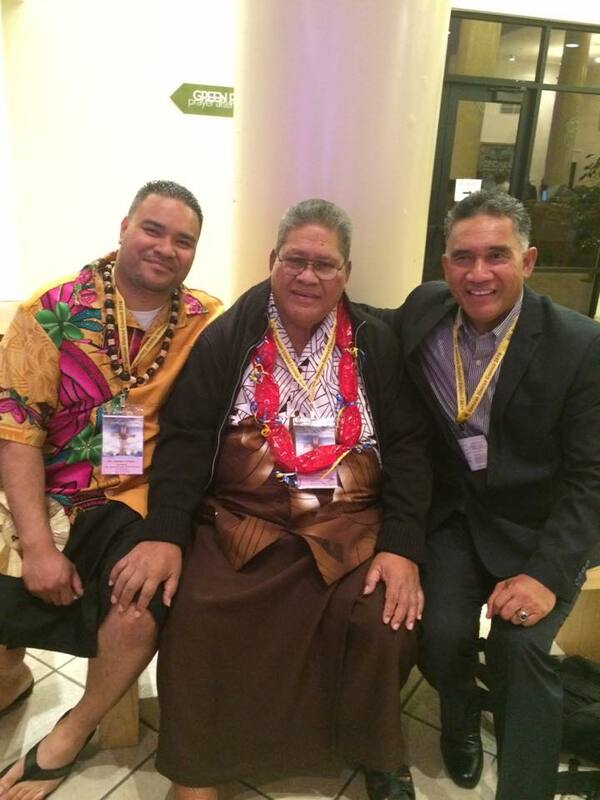 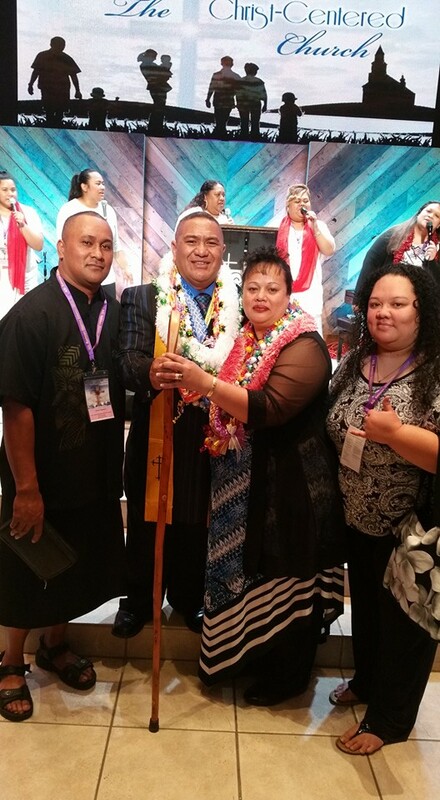 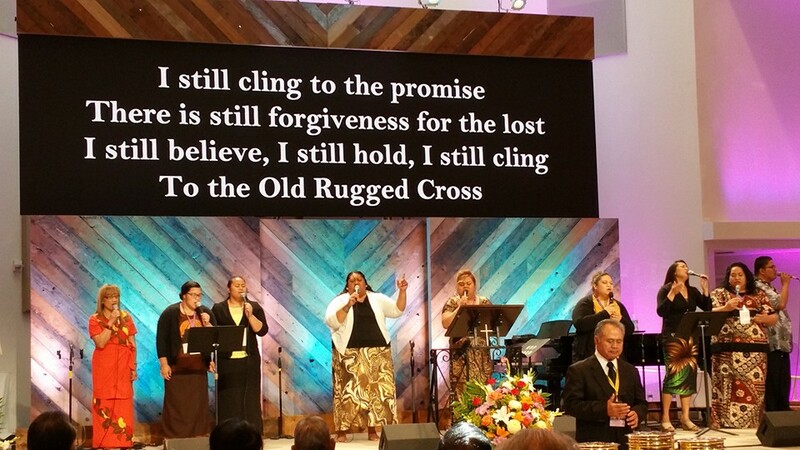 One of the highlights of SDC this year was the ordination service in which the following Pastors were recognized and honored for achieving their credentials as either licenced or ordained ministers: Pastor Pulemau Paaga (Licensed - Northwest); Pastor Larry Anoai (Ordained - NorCal); Pastor Hercules Lasi Lofa (Ordained - NorCal); Pastor Tinei Malepeai (Ordained - SoCal); First Lady Vaitia Tauala (Ordained - Hawaii); and Pastor Mataiumu Telona (Ordained - Northwest). 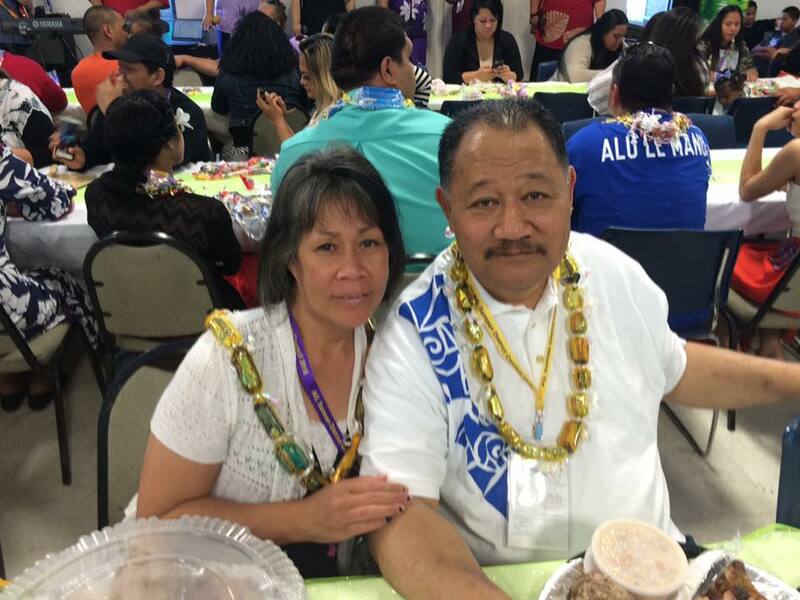 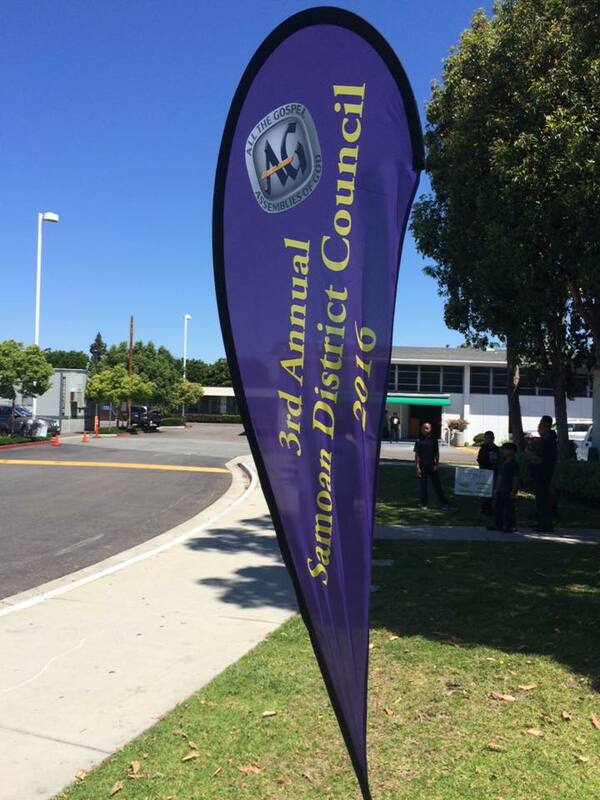 On Friday, April 22, 2016, the hosting Section (SoCal) prepared a farewell luncheon for all of the distinguised guests and participants of this years District Council. 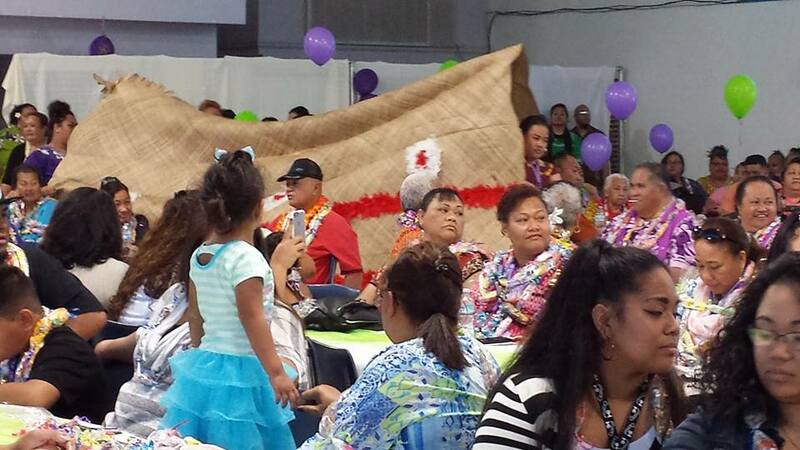 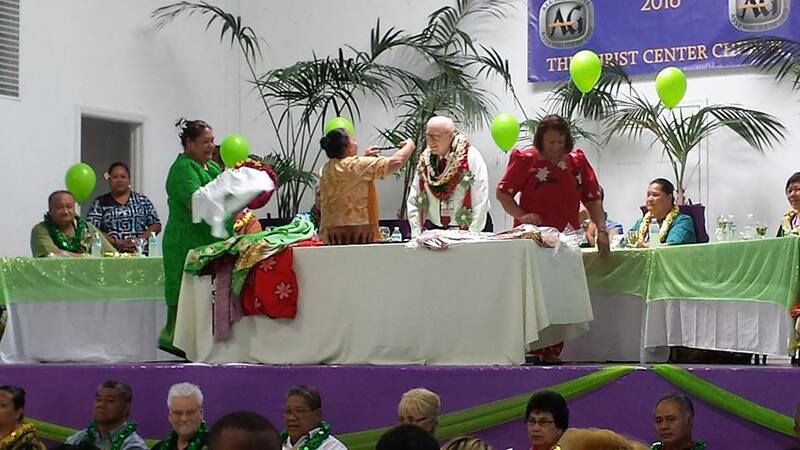 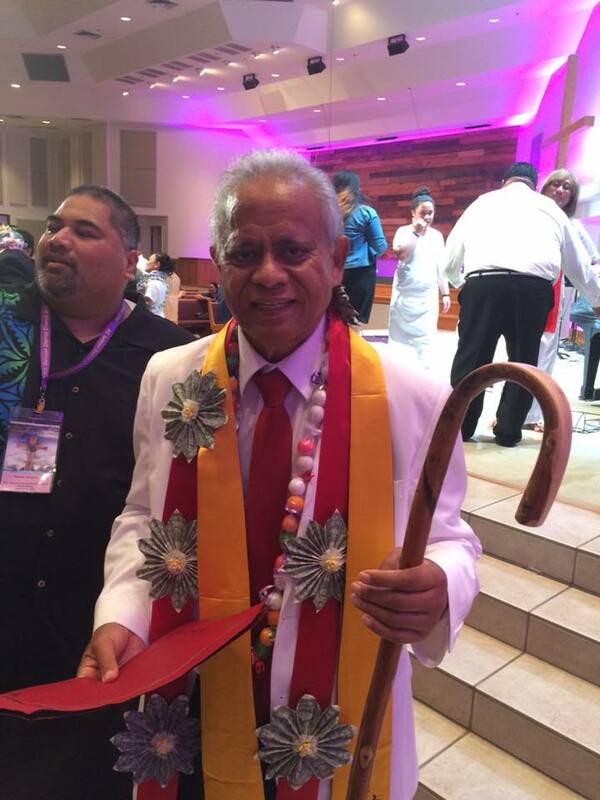 Dr. George Wood was honored with many Samoan traditional gifts. 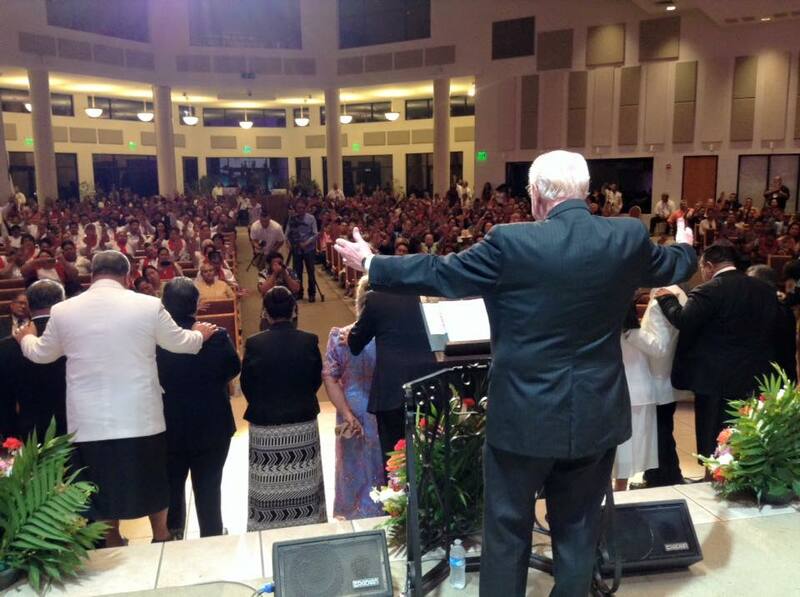 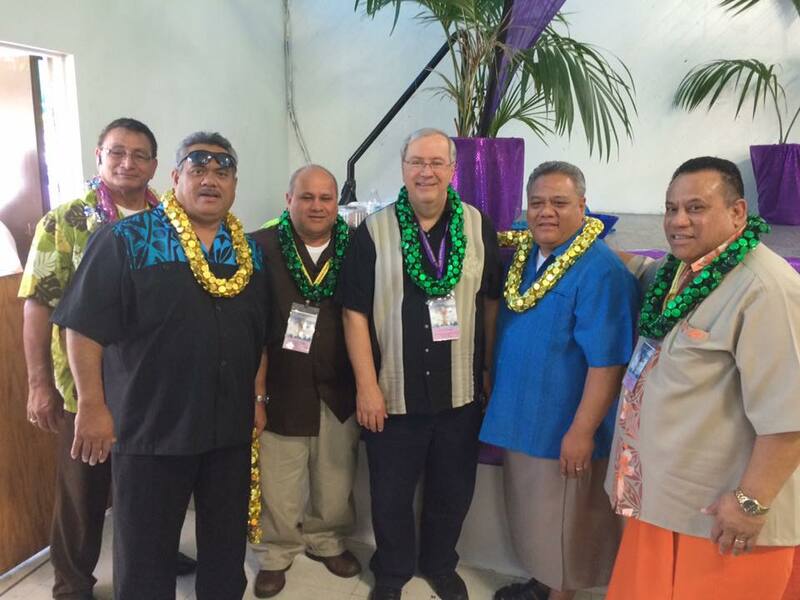 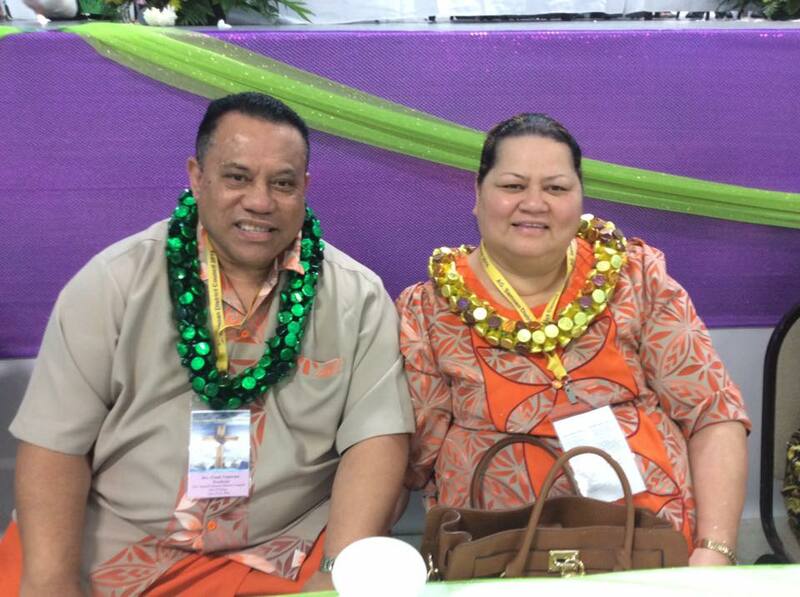 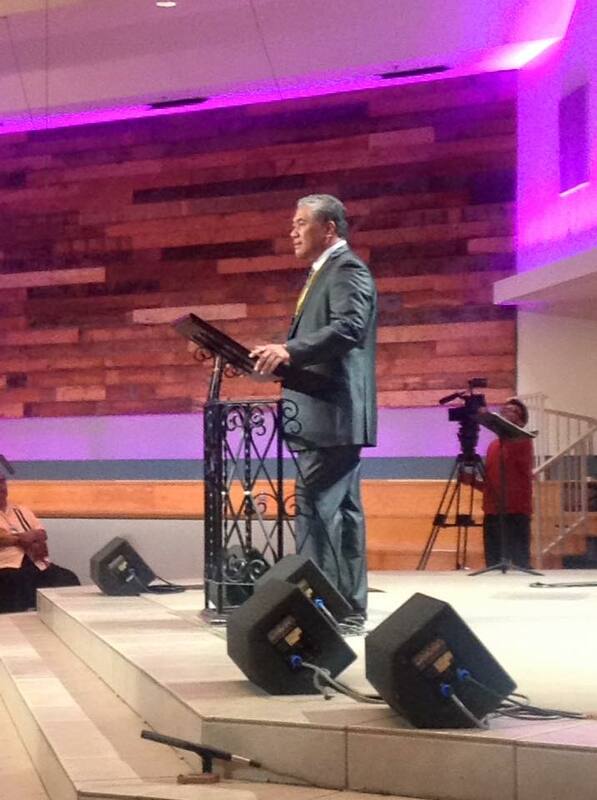 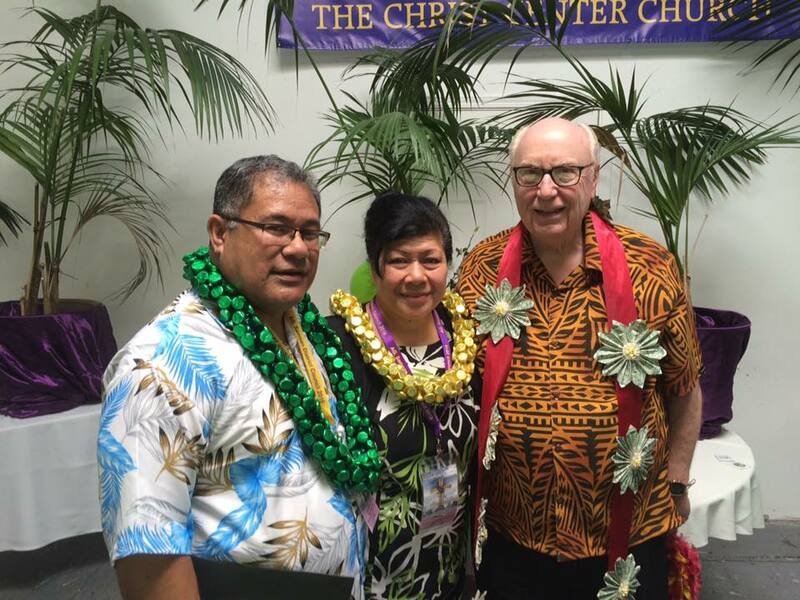 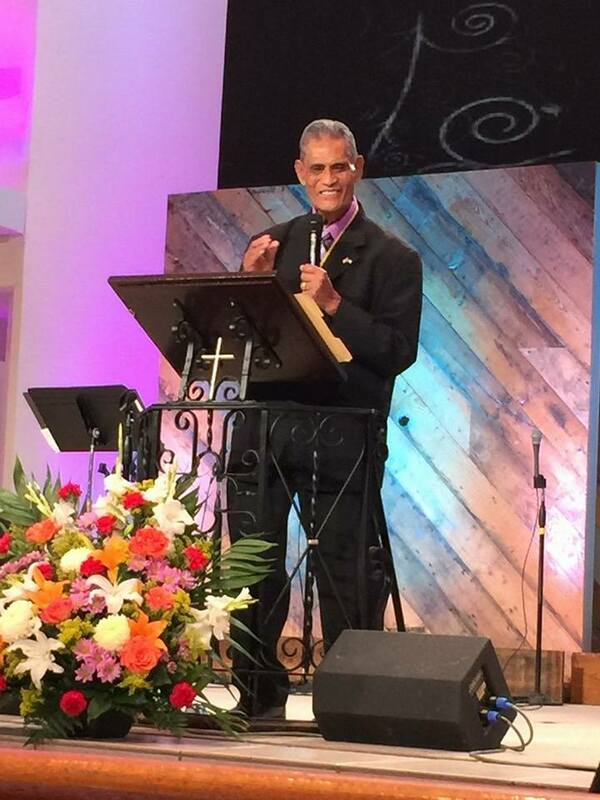 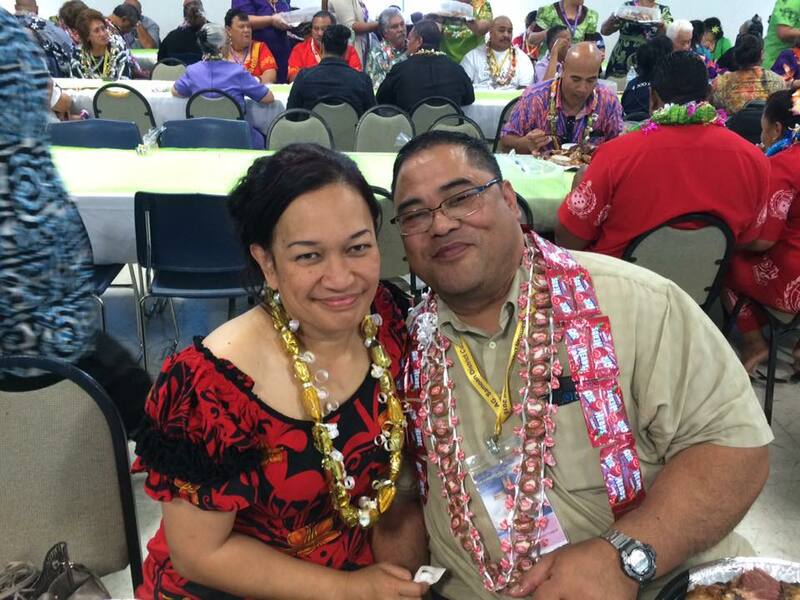 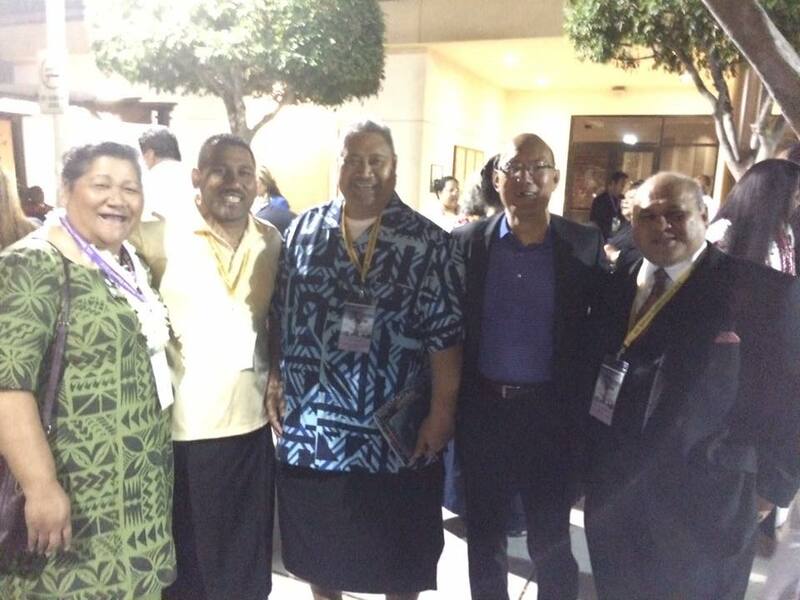 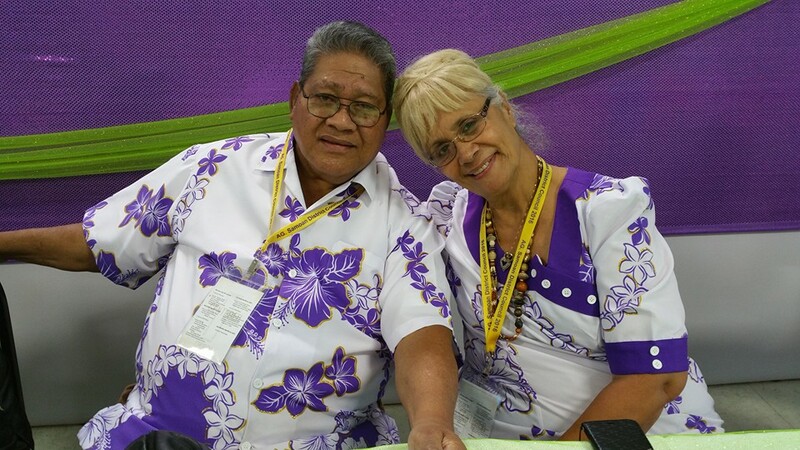 Later Dr. Wood gave his blessings to the Samoan District Council with a heart full of gratitude. 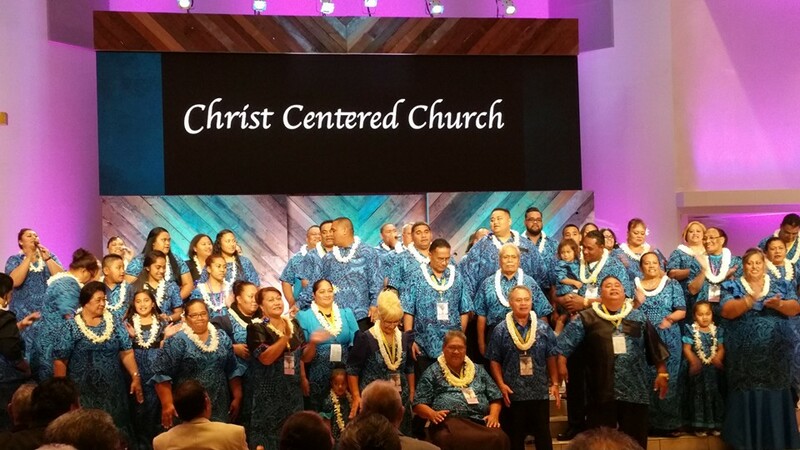 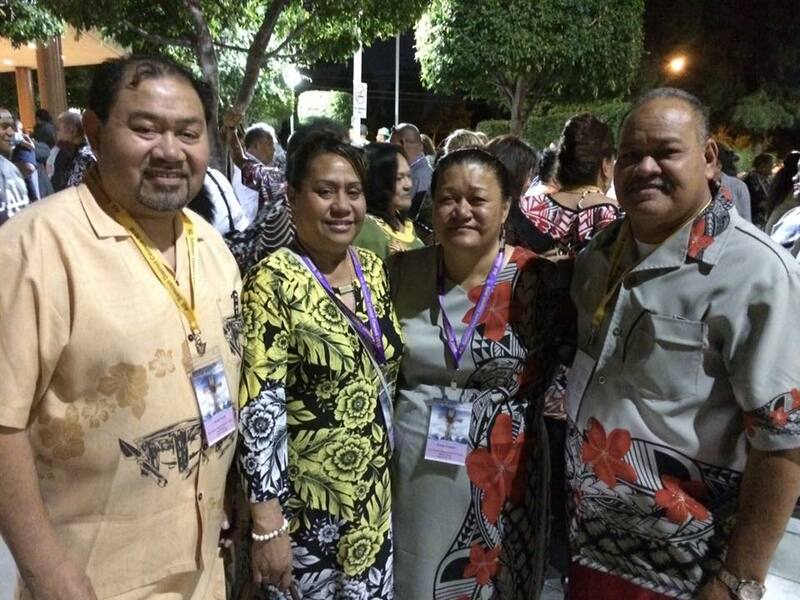 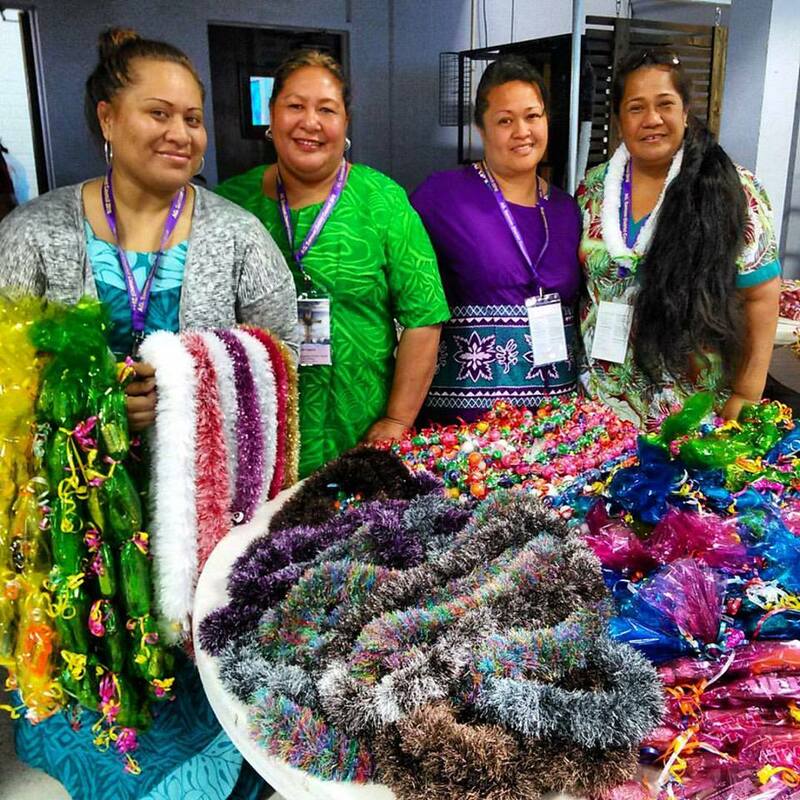 Although it was a bitter-sweet moment for many, there was a charge of excitement in the atmosphere as many looked forward with anticipation to next years District Council to be hosted in beautiful Hawaii. 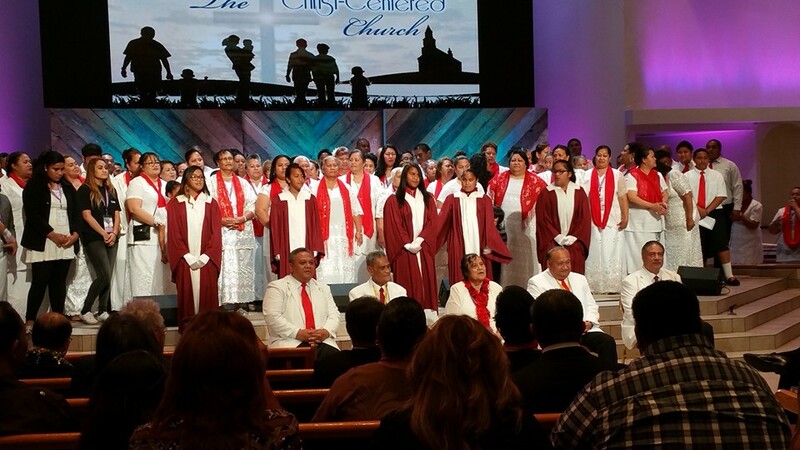 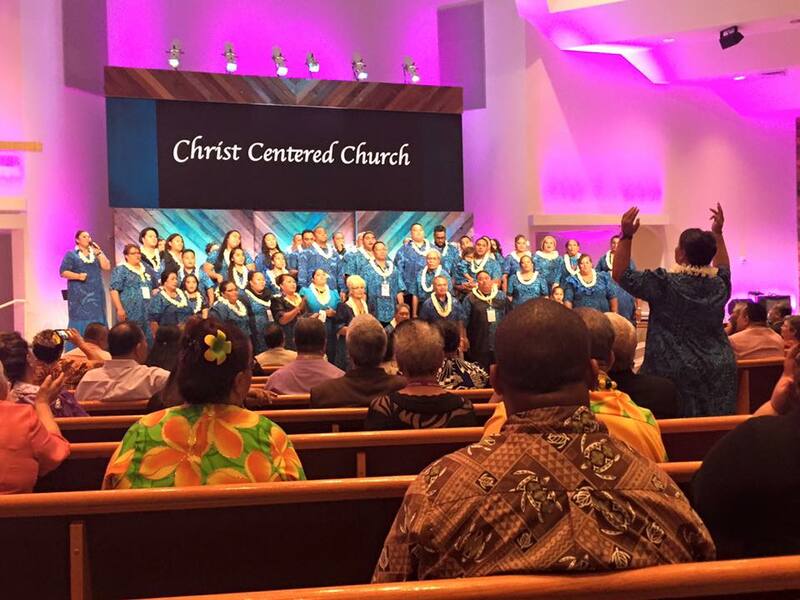 Choir Selection conducted by Malaelupe Jr. Samifua!